Despite these protests, Limehouse Town Hall was built with construction starting in 1879 and the hall being completed in 1881 at a cost of £10,000 plus £2,920 for the land. 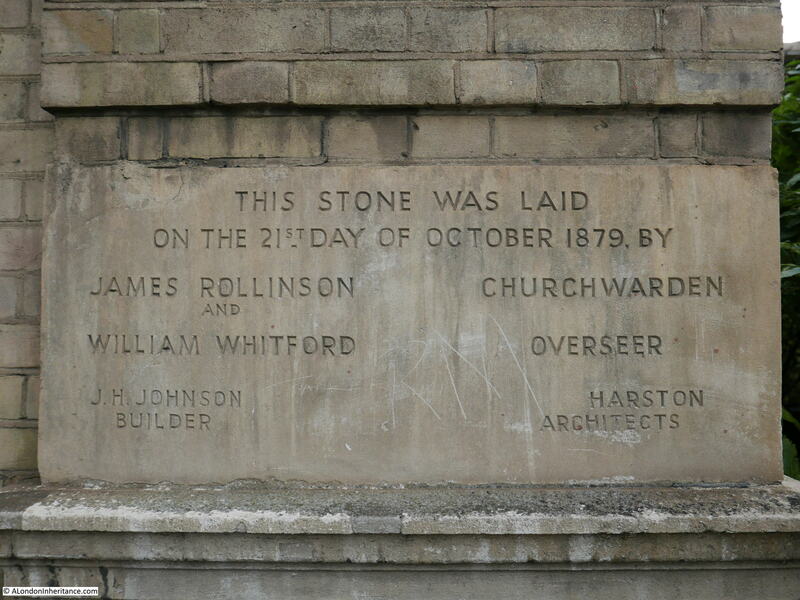 A foundation stone on the front of the building records the name of the builder and the architect. 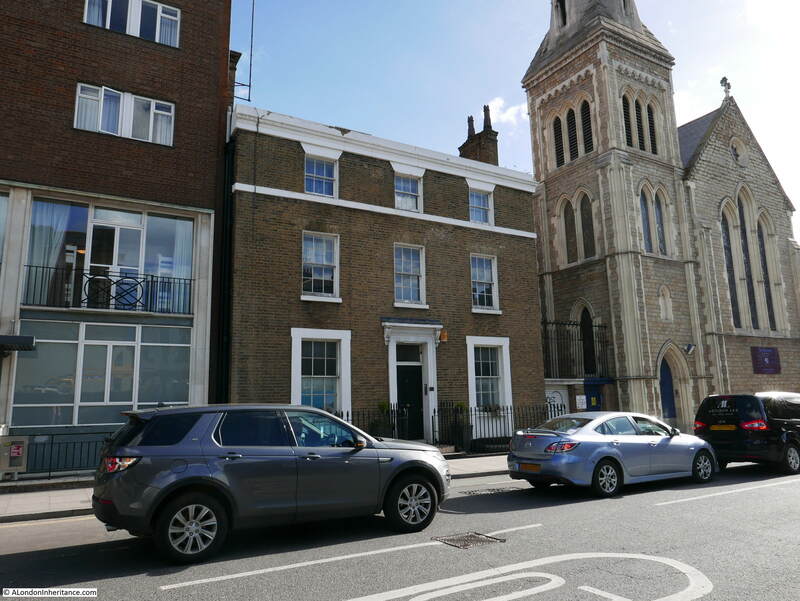 “LIMEHOUSE AND ITS NEW TOWN HALL – The parish of Limehouse has entered into possession of its new town hall, and the opening of the building has been the occasion of a considerable amount of celebration. The parish officials evidently felt that the event was one akin in importance to the transformation which takes place when the chrysalis is resolved into a beautiful winged butterfly, and they may accordingly be pardoned for displaying more or less ecstasy on the occasion. Hope of having a proper parochial habitation has with them been so deferred, that we have jocularly referred to the anticipated building for some years past as ‘the millennial town hall’. 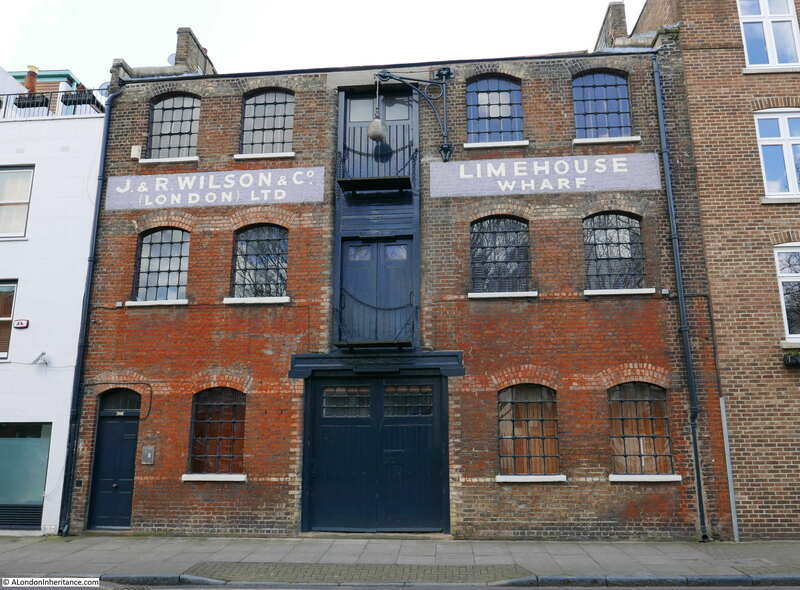 First of all there was the financial difficulty, and when this was conquered or arranged, there were tedious and trying legal delays which seemed to perpetually bar the way to the achievement of the object upon which the Vestry of Limehouse had set its mind. Delays, anticipations and doubts are now all dismissed, and the long-looked-for day of possession has arrived and has been jubilantly greeted. The event of opening the new building was accompanied by much eclait, for the church wardens had the support and presence of both the members for Tower Hamlets, of Mr Samuda, the late representative of the borough – who, by the way, met with quite as warm a reception as either Mr. Bryee or Mr. Ritchie – of several of the county magistrates, and other gentlemen of local position and influence. The article then goes on to ask whether the new town hall may be part of a plan for Limehouse to gain more self-governing powers, but the article also challenges the expense of the new town hall if it was only to be used for “the self-glorification of the members of the Vestry and the exclusively for parochial purpose”, then there would be a challenge to the costs incurred. 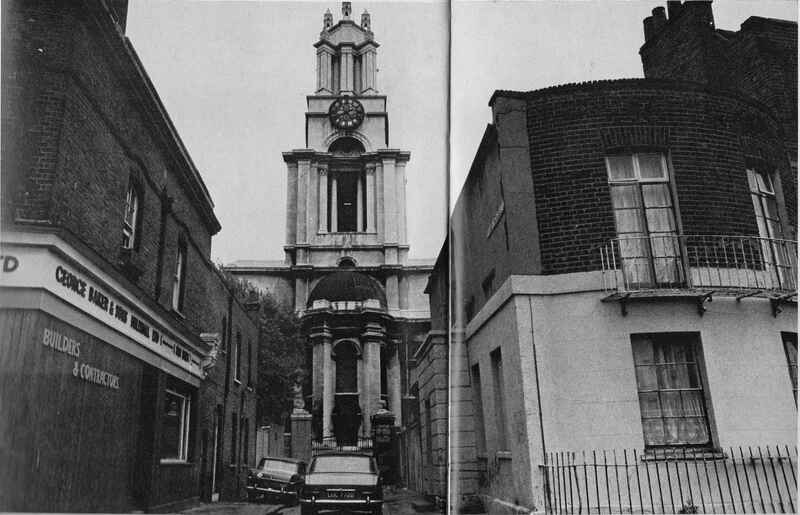 They were confident that the Vestry would allow the free use of the new town hall by the rate payers of Limehouse, and that opportunities should be explored for letting the hall for public meetings, concerts etc. 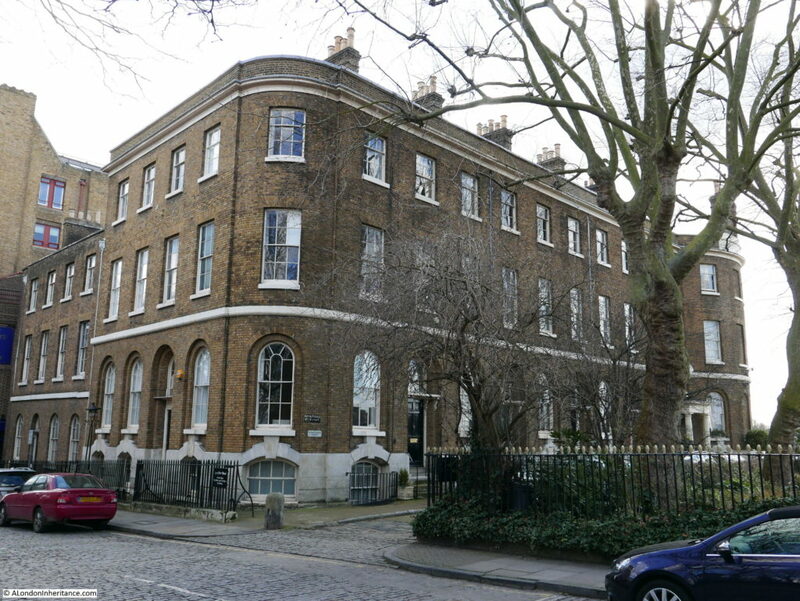 along with a reading room, free library and classes offering instruction in technical or higher education to help the people of Limehouse “might be cultivated morally and socially, and become better prepared to exercise their due influence upon the world of which they form part”. 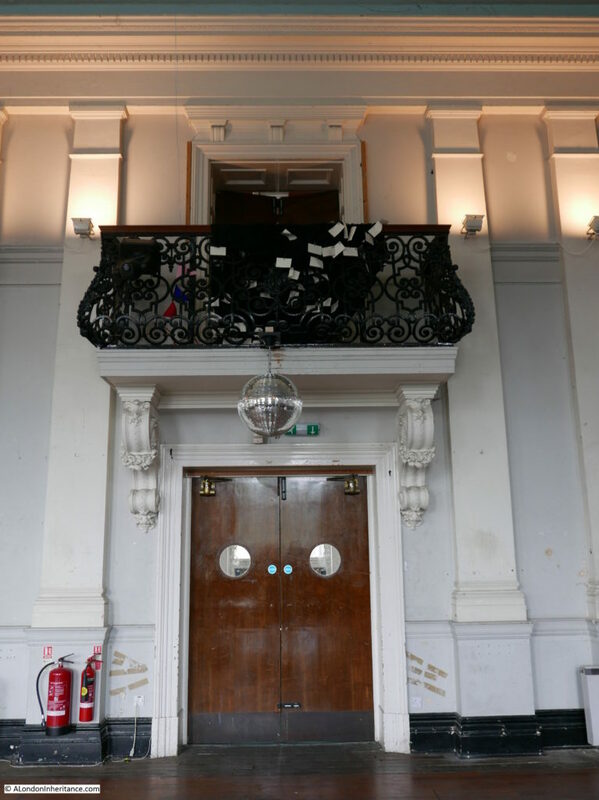 The new Limehouse Town Hall did not therefore have an easy start and high expectations were set for how the building would be used. The building has not functioned as a town hall for many years and has served many different uses over the years, including as the National Museum of Labour History which was opened in 1975 by Harold Wilson and lasted until the mid-1980s when financial troubles resulted in the closure of the museum with the collections being rescued by Manchester City council which formed the basis for the People’s History Museum. Time to see the interior of the building. On entering through the front doors, there is a short hall way to the bottom of the grand staircase which runs up to the first floor. 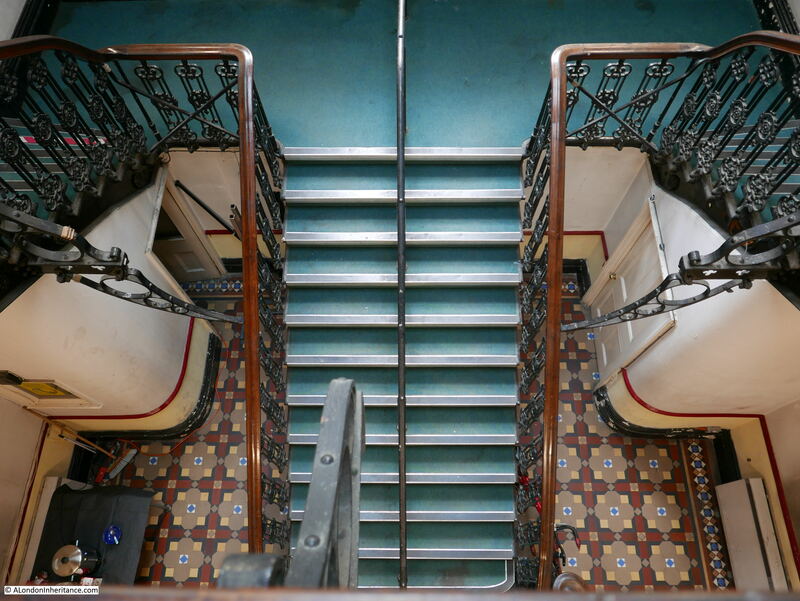 View from the staircase up to the first and second floors. 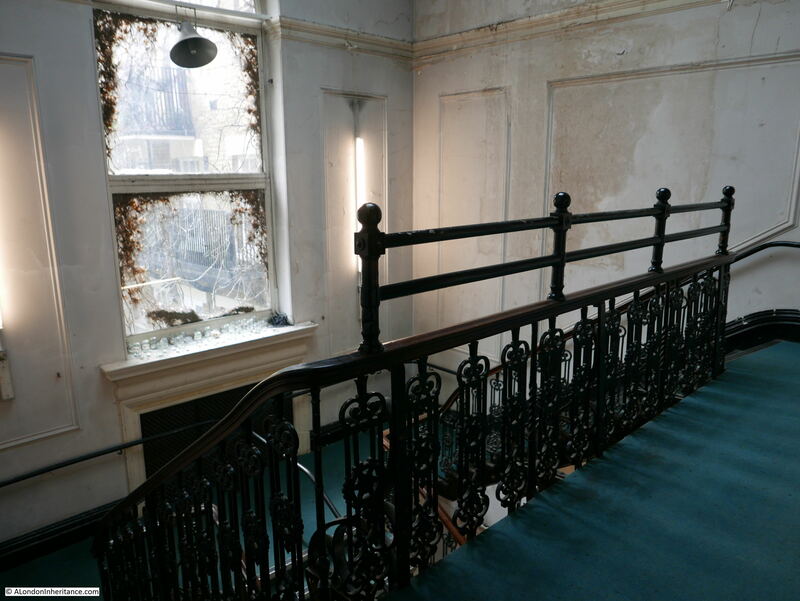 The ornate balusters on the staircase and the second floor walkway are original, produced in Glasgow by the MacFarlane foundry. 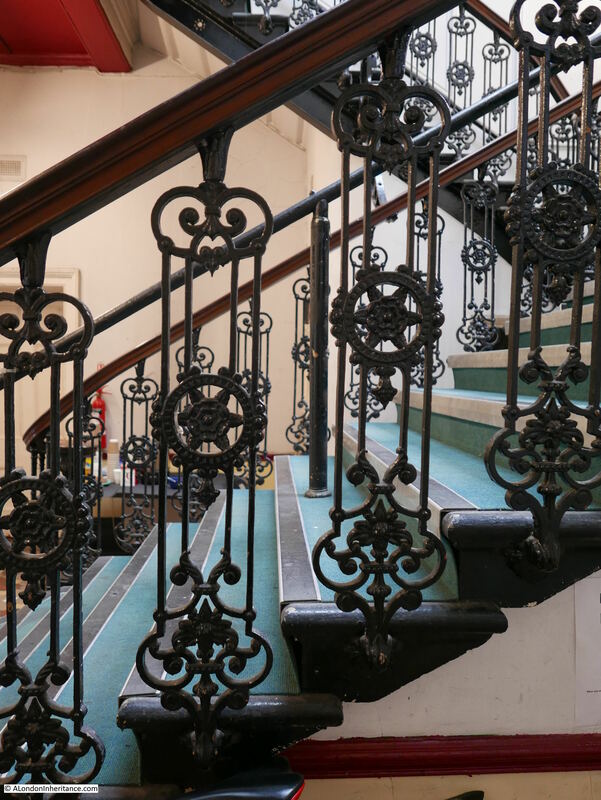 Detail of the balusters – very ornate but they were not created specially for Limehouse Town Hall, they were a catalogue item of the foundry. I doubt those who criticised the costs of the town hall would have been happy with specially designed ornamentation for the building. Looking down from the first floor landing. 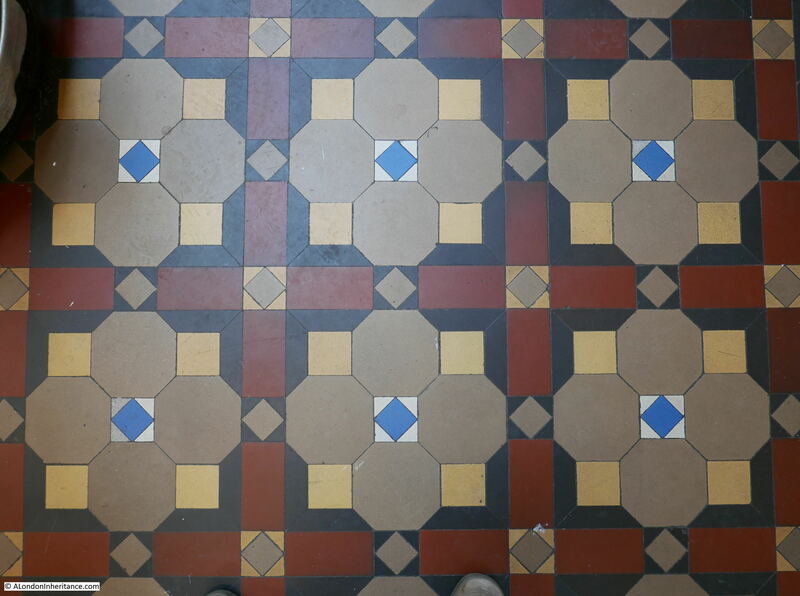 Detail of the original tiles which have survived remarkably well. 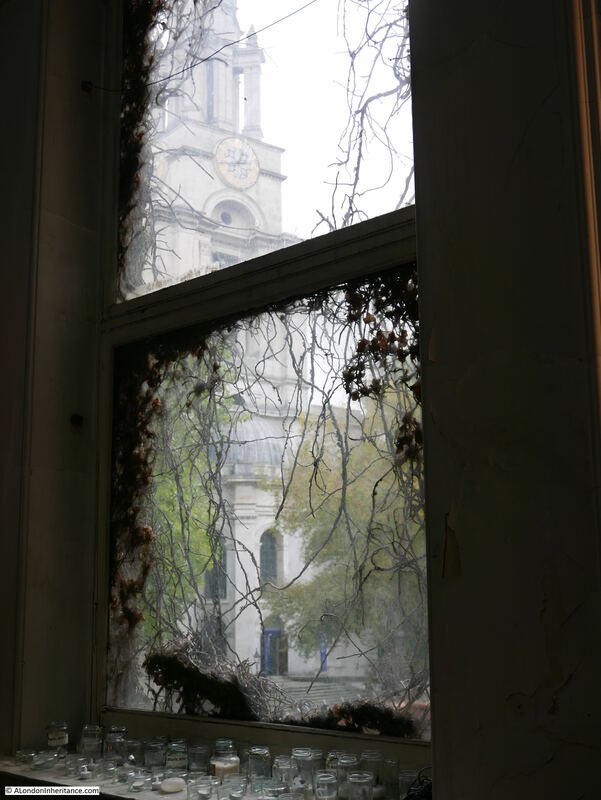 The church of St. Anne Limehouse is just to the east of Limehouse Town Hall and there is a wonderful view of the church looking rather ethereal through the window half way up the staircase. 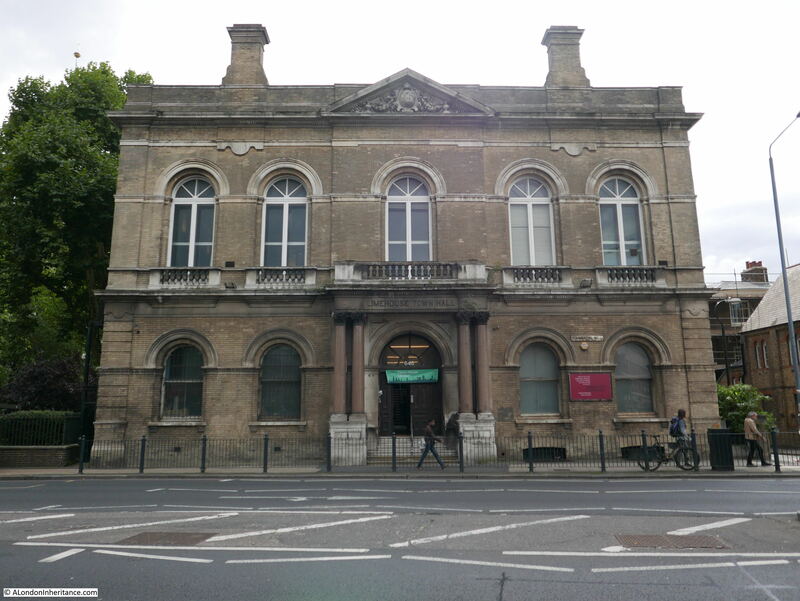 Limehouse Town Hall is now well over 100 years old and has been through a succession of owners over the years. 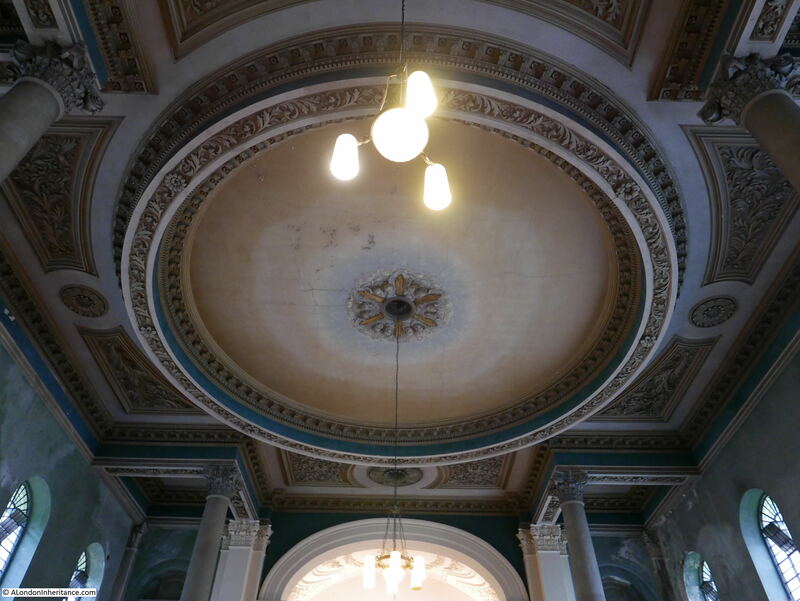 The age of the building and impact on the fabric is clear at a number of locations within the building, including this view of the ceiling. On the first floor is the large assembly room. It is this room that has served both the original Vestry and the people of Limehouse over the years. The hall has hosted numerous Vestry meetings, concerts, political meetings, dances, an infant welfare centre and exhibitions. 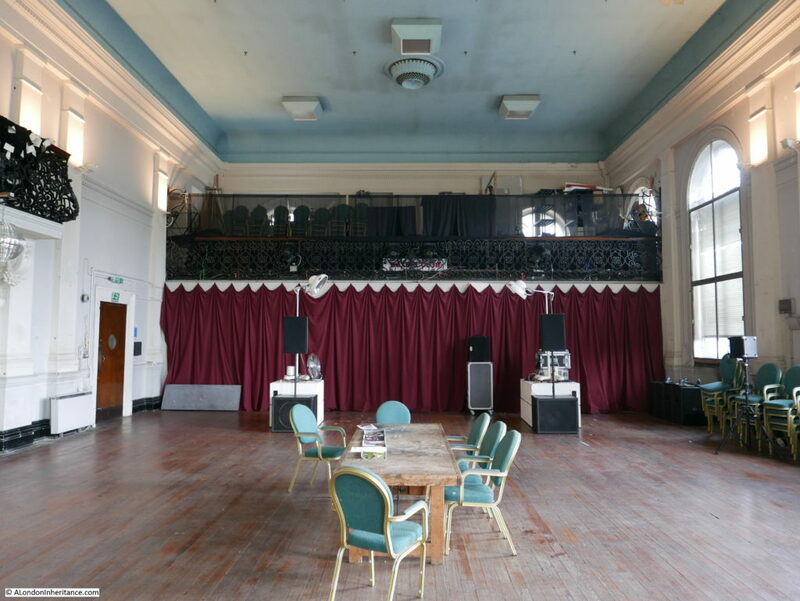 From 1881 the building was licensed for music and dancing and again in the pages of the East London Observer there is a report and a number of letters regarding the purchase of a piano for the hall, the cost of the piano and who was actually funding the purchase. View of the other end of the assembly room. 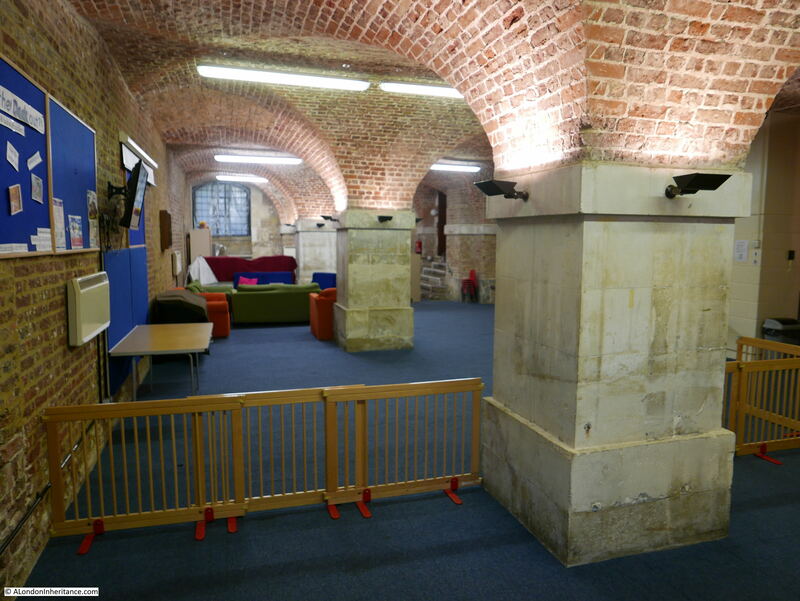 Until around 1950 there was a raised platform at this end of the hall which was used for speeches and performances. Balcony over the main door leading from the landing. The glitter ball hints at one of the uses of the room. 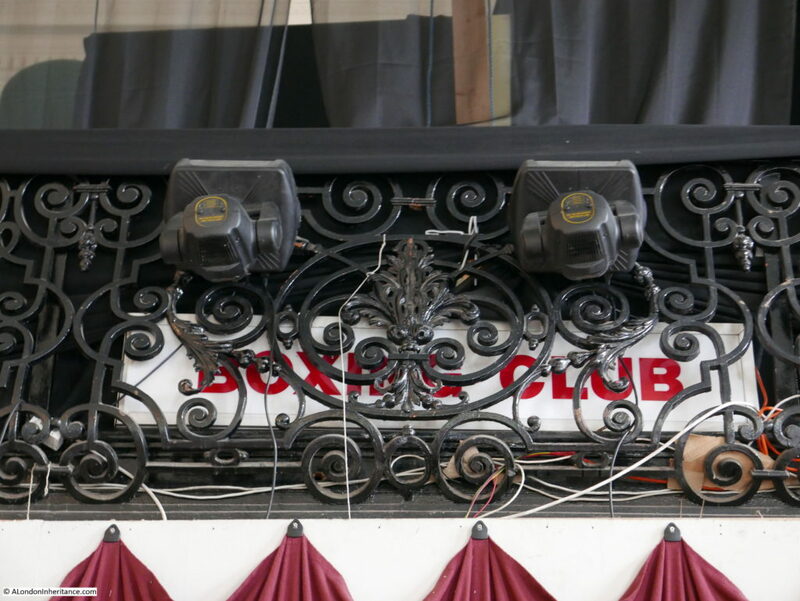 A sign on the balcony provides a clue as to one of the previous uses of the hall. 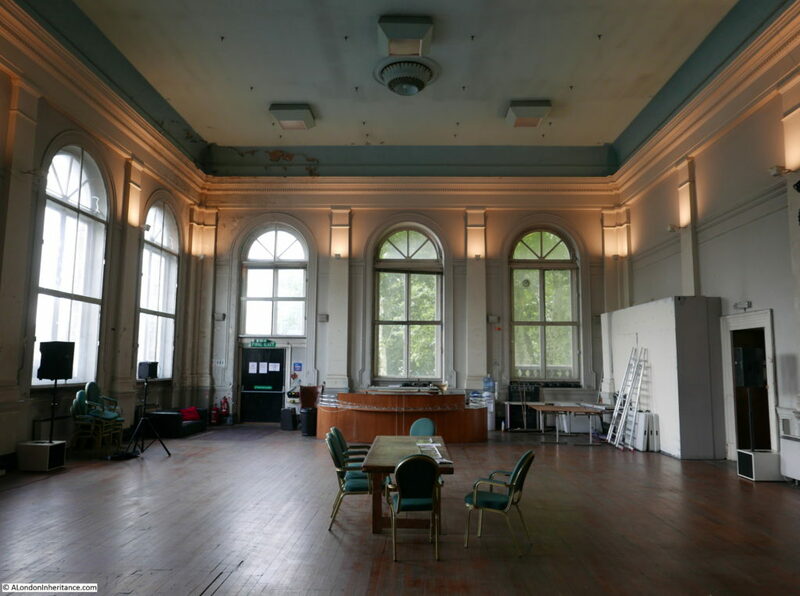 Limehouse Town Hall was built with high expectations for its contribution to the lives of those living in Limehouse. 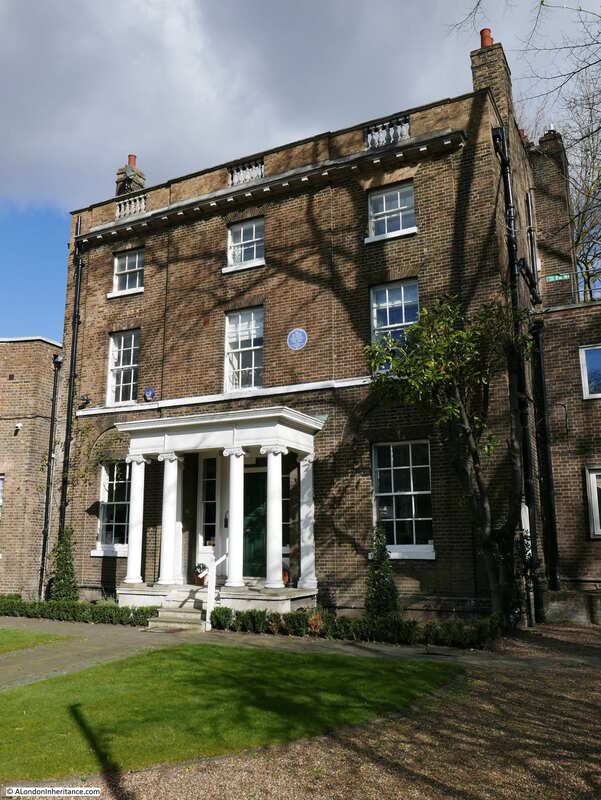 Whilst Limehouse did not achieve the level of local governance to which the founders of the hall had aspired, the range of events held within the hall meant that it must have featured in the day-to-day lives of the people of Limehouse. 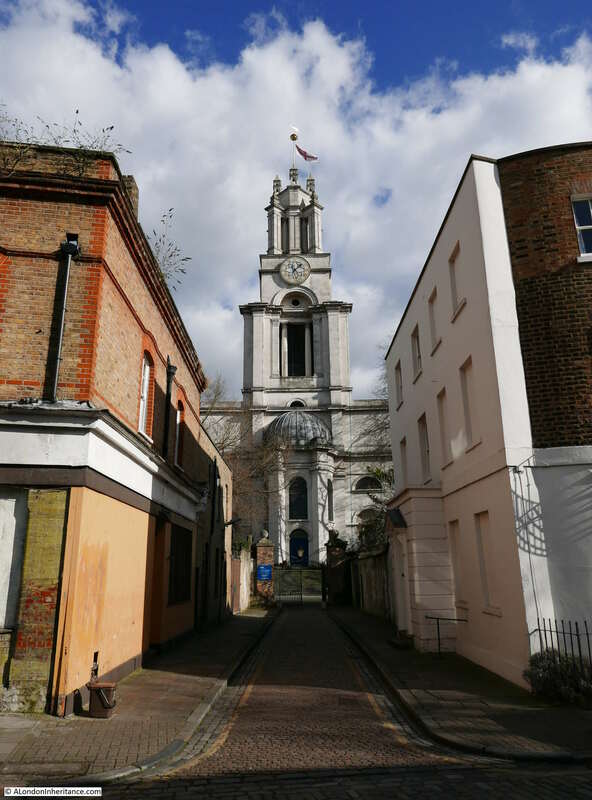 The view of St. Anne’s Limehouse along St. Anne’s Passage. St. Anne’s church was one of the twelve churches built as a result of a 1711 Act of Parliament to build churches in locations across London where populations had grown but were not well served by a local church. A tax on coal was used to fund the building work, which resulted in a number of large and architecturally impressive churches across the city. 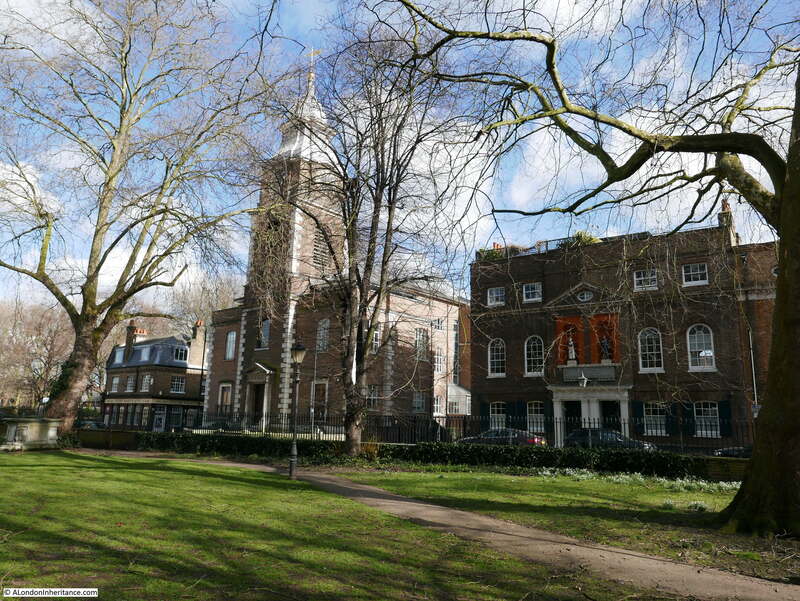 St. Anne’s was designed by Nicholas Hawksmoor and built between 1714 and 1727. The church was badly damaged by fire in 1850 and also by bombing in 1941. It has been through a number of restorations, the latest having been completed in 2009. I have walked past St. Anne’s many times, but have never seen inside. The last time I walked past was when I was exploring the sites at risk as identified by the Architects Journal in 1972 when the church was one of the sites of concern, although it was Grade I listed in 1950. Walking into the church reveals a large and impressive interior. With a very ornate roof. Looking back towards the main entrance to the church. 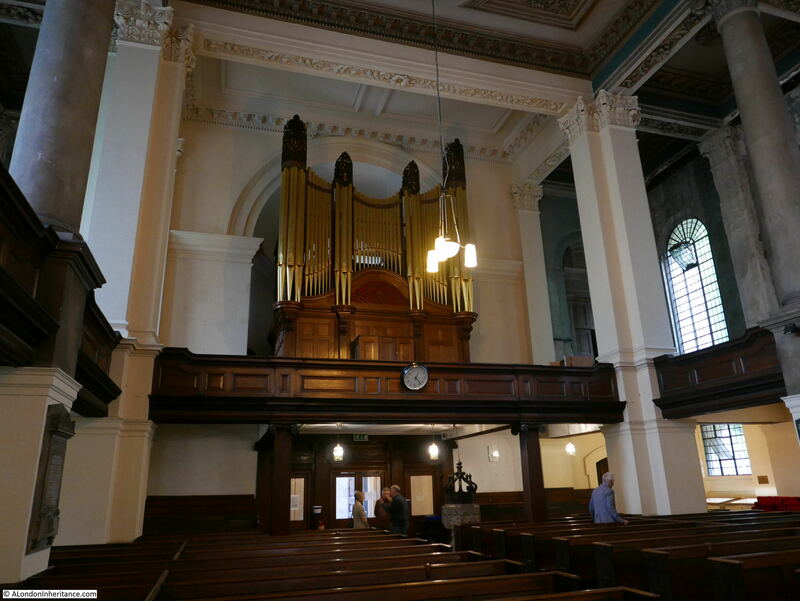 The organ was built by John Gray and Frederick Davison who had a factory in Euston Road. The church was permitted by Queen Anne to fly the White Ensign and the location of the church, so close to the River Thames, together with the height of the church tower meant that St. Anne’s was a prominent landmark for those navigating the river and the church was marked by trinity House on navigation charts. Many prints of the river around Limehouse show the church in the background. 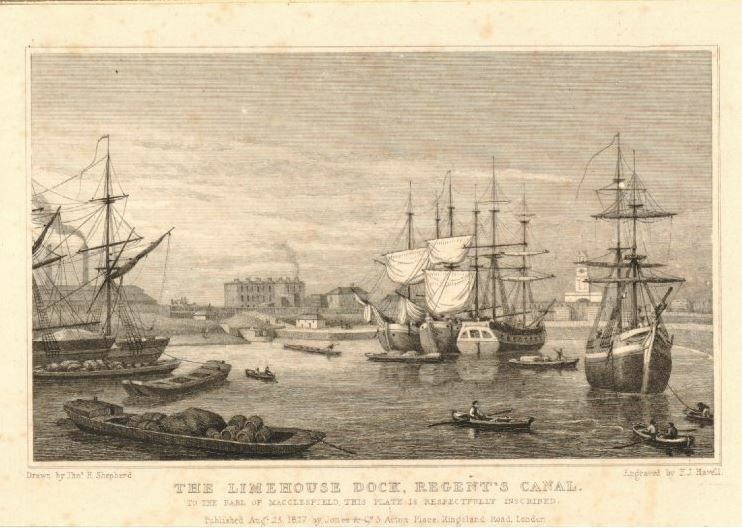 For example, the following print from 1827 shows the church as a very visible landmark just to the left of the ship on the right. The White Ensign was originally the flag of the second most senior Admiral in the Navy. In 1864 the White Ensign became the ensign of the Royal Navy. 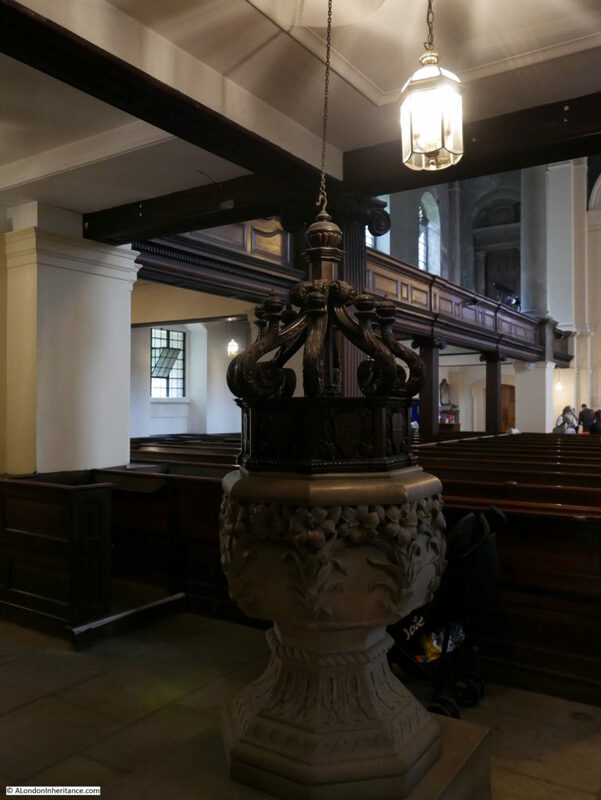 The font which dates from the restoration carried out between 1851 and 1857 by John Morris and Philip Hardwick after the fire in 1850. It appears that at seven o’clock yesterday morning a man named Wm. Rumbold, who lights the stove fires, and attending to the heating of the church, entered the edifice and proceeded with his duties. He ignited both the furnaces, and at a quarter past eight o’clock was about to satisfy himself of the degree of temperature in the interior of the church, when he perceived a strong smell of burning wood, and shortly afterwards saw a quantity of smoke issue from the roof. Impressed with a fear that something serious had happened, Rumbold ran off to the residence of Mr. George Coningham, the beadle and engine keeper of the parish, who resides about 150 yards distant from the church. Coningham instantly returned with Rumbold to the church, on reaching which, Coningham ascended through the belfry and immediately opened a door over the organ loft leading to a vast chamber extending over the whole body of the church. 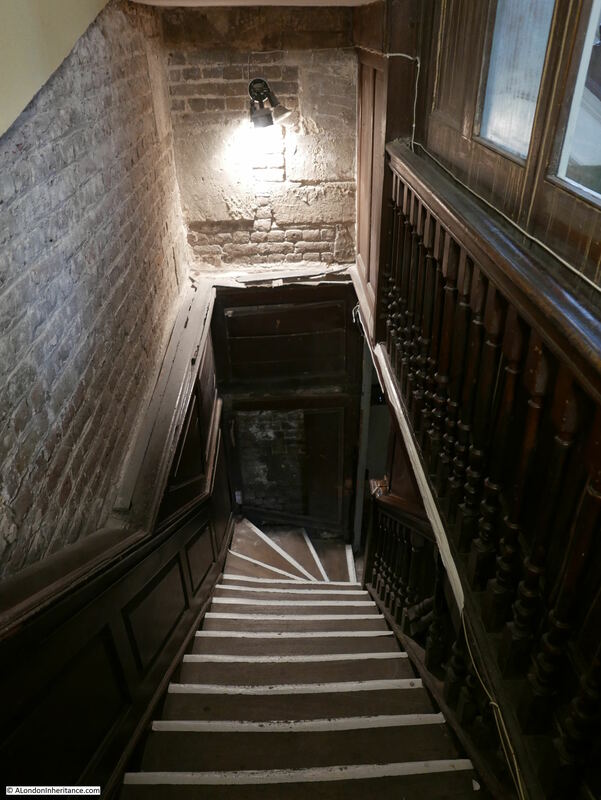 As soon as the door was opened, Coningham and Rumbold were both driven back and nearly suffocated by a rush of smoke and rarefied air which issued out of this chamber, and clearly indicated where the seat of the mischief really was. Coningham and Rumbold, with a view to rousing the neighbourhood, rang the two bells. An immense congregation of the inhabitants very speedily assembled. The fire had by this time begun to make its way through the roof. As yet there was no engine on the spot, and but a very scanty supply of water flowed from the street plugs. The Rev. George Roberts, curate of the parish, who had by this time arrived. headed a large party of gentlemen, and by their exertions all the registers and other valuable parochial documents have been fortunately saved. The progress of the flames was so rapid that not a little risk was incurred in this good work. Several engines had arrived before the roof fell, and a very good supply of water was at length obtained, but from the great difficulty of getting at the spot where the fire raged, all the efforts of the firemen were comparatively fruitless, and Mr Braidwood, the leader of the force, at once pronounced that any hope of saving the interior of the church was quite out of the question. It must have been devastating to the people of Limehouse to see their church in ruins. Displayed in one of the side rooms is one of the hands from what may have been the original clock on the church. If I read the writing along the clock hand correctly it reads “This —– was taken from the face of the clock by R. Linton 1826”. 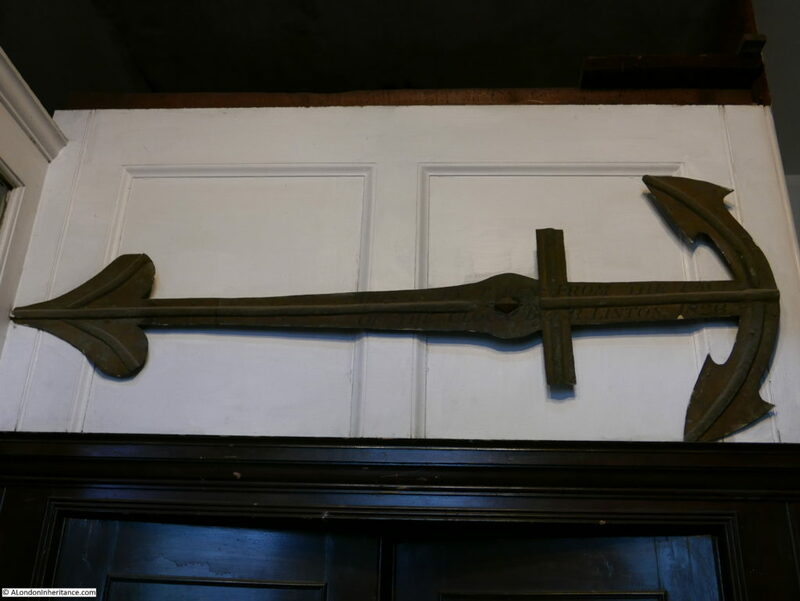 The naval association of the church is shown in the clock hand by the anchor shape on the right of the hand. 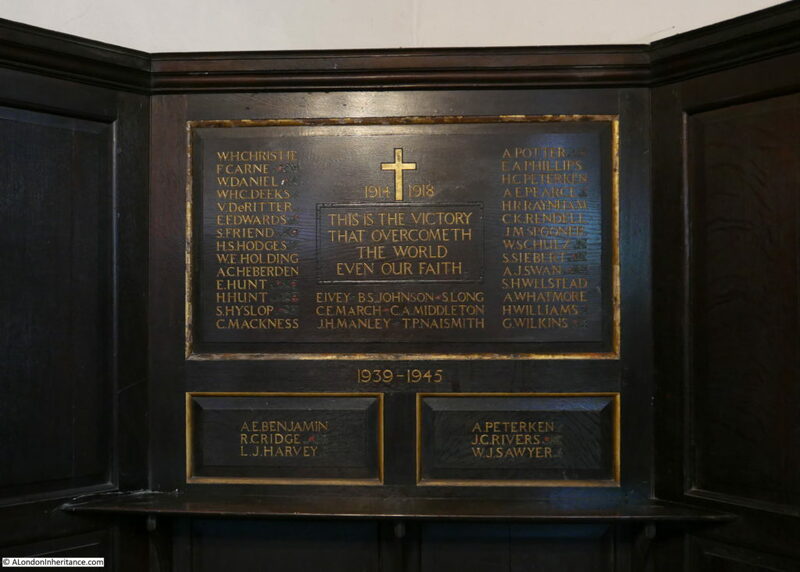 There is also a memorial to those who I assume were parishioners who lost their lives in the First and Second World Wars. It is always depressing to read these lists of names of those who had been killed during the wars, even more so when you find surnames repeated as you can imagine the impact it must have had on the families concerned. One surname stood out on the St. Anne’s memorial – Peterken. There was an H.C. Peterken killed in the First World War and an A. Peterken killed in the Second World War. I was able to find some background on H.C. Peterken. Horace Peterken was a Private in the London regiment of the 2nd (City of London) Battalion (Royal Fusiliers). He was killed in action on the 26th October 1917. This was the first day of the Second Battle of Passchendale which ran until the 10th November 1917, so I assume he was killed on the first day of this battle. 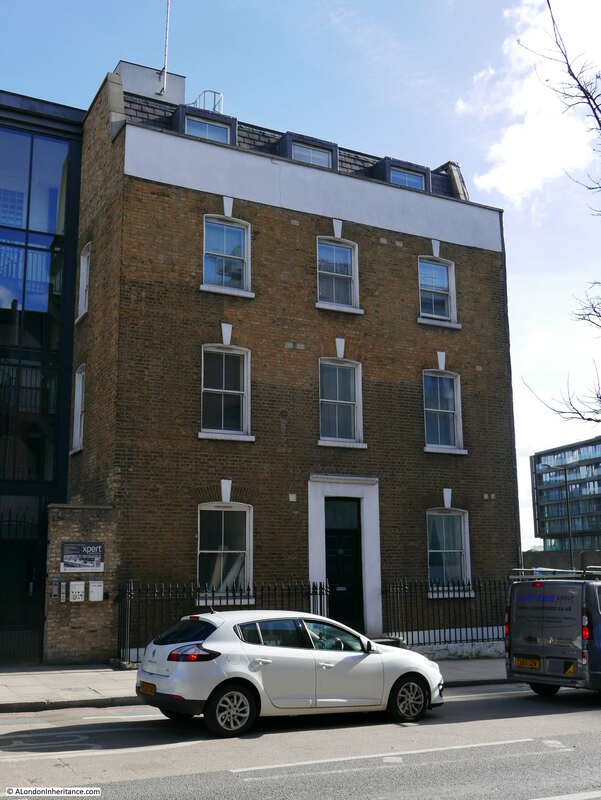 In the 1911 Census he was living at 63 Three Colt Street in Limehouse (a street I walked up from the river to Commercial Street) along with his parents and six brothers and sisters. 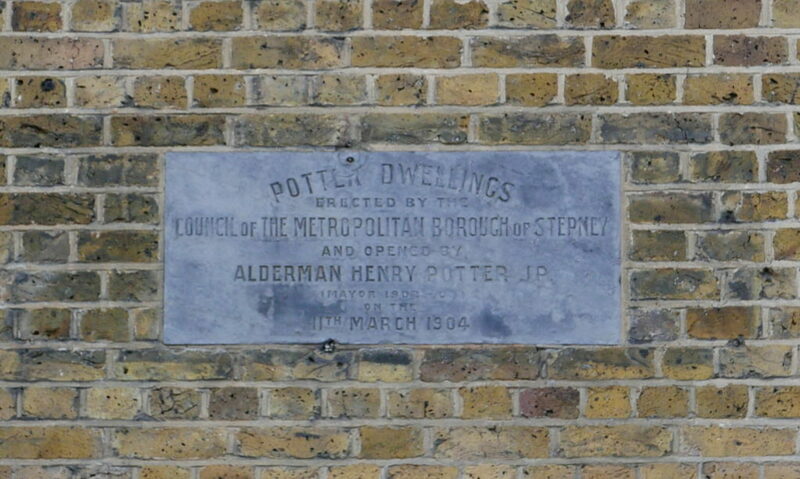 His father, Henry George Peterken was 47 at the time of the census and is recorded as being born in Poplar. His father was a Letterpress Printer and Stationer. His mother, Sarah Ann Peterken was 46 and was born in Ratcliffe. Sarah is recorded as having had 9 children, with 8 living and 1 died. Given that 7 children were living at the house in 1911 I assume the eighth may have been the oldest and had left home. 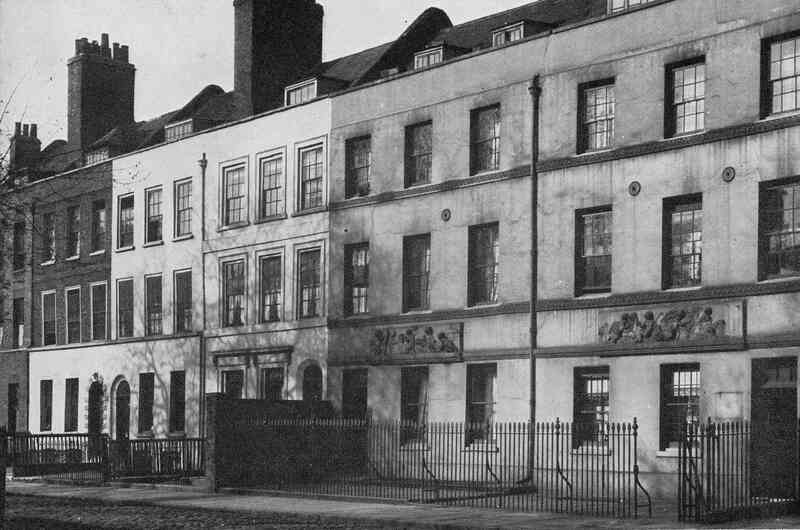 Horace was 15 at the time and his brothers and sisters living in Three Colt Street were; Ada, aged 23, Edith, aged 19, Winifred aged 17, Leonard aged 11, Mabel aged 9 and Cyril aged 4. Ada was a Stationers Assistant so presumably worked for her father, Edith was a Dressmaker. 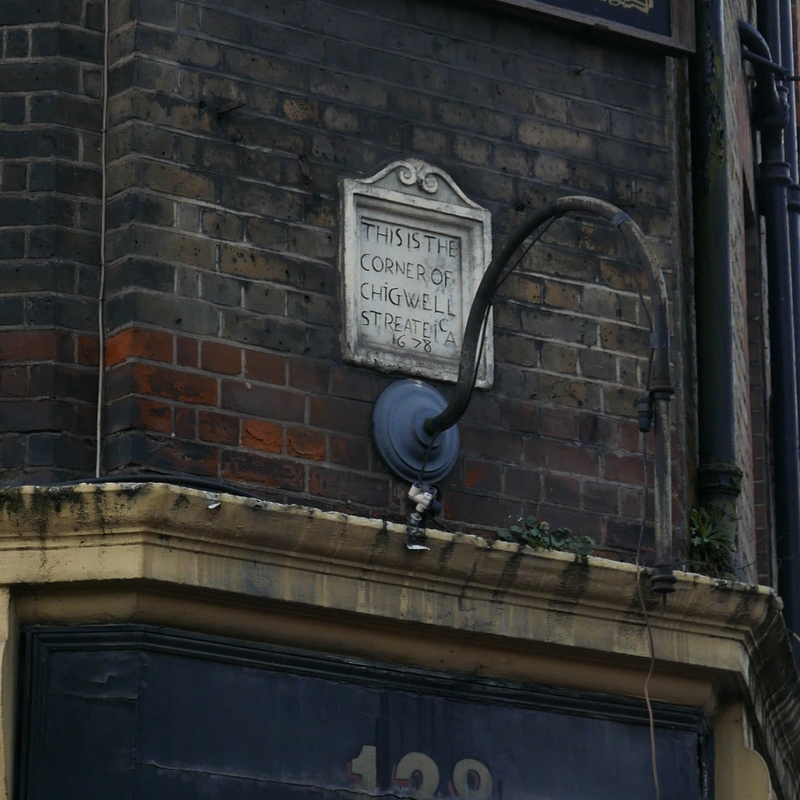 Henry George Peterken was a councillor and his printing shop was in Poplar High Street. 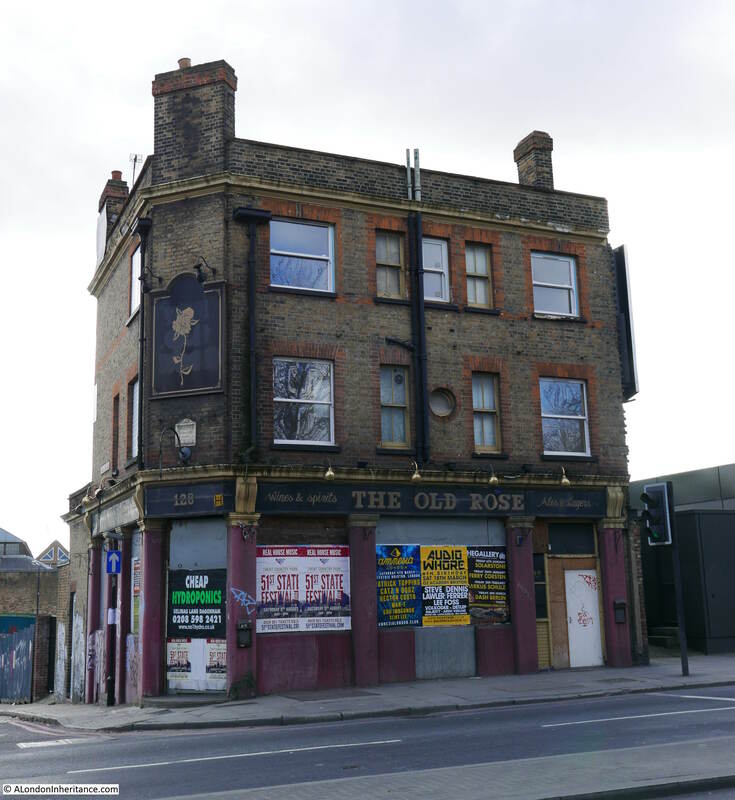 The family may have been of Irish descent as on the 29th May 1909, the East London Observer reports that his daughter Winnie (Winifred) led the Irish detachment in a Pageant to celebrate Empire Day. Horace was born in the last quarter of 1895, so was around 22 when he died at Passchendale. 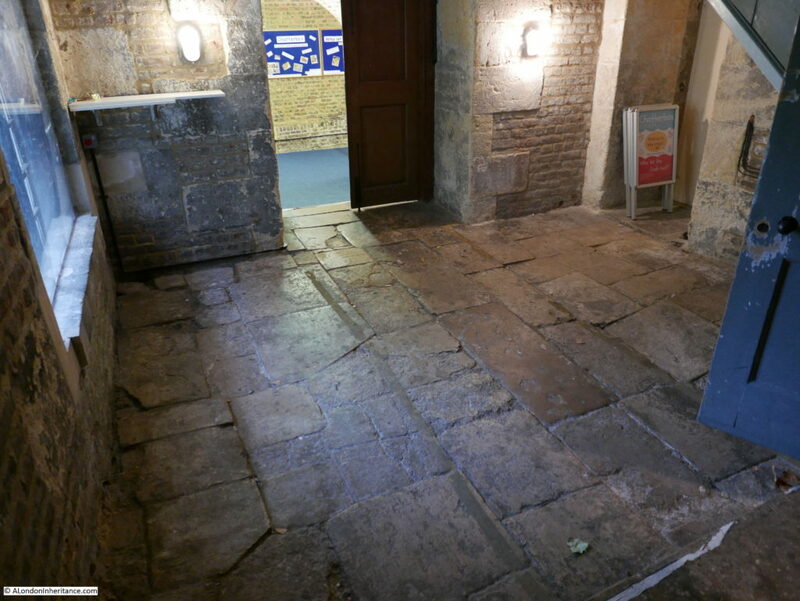 Walking down the stairs brings you to a smaller room before the main crypt which I suspect has the original flagstones across the floor. The large crypt has been through a major restoration with some superb brickwork across the walls and roof. 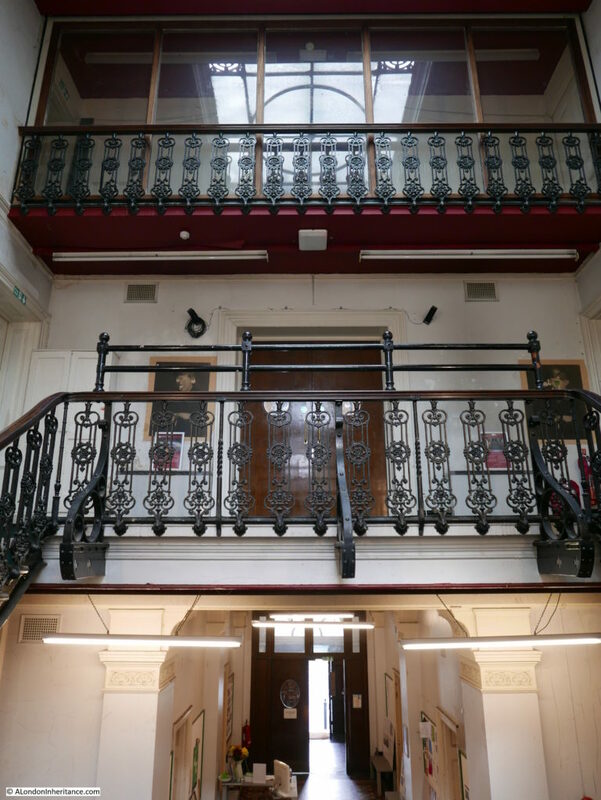 Limehouse Town Hall and St. Anne’s Limehouse – two more fascinating buildings and each played their part in the rich history of East London. Two more locations to visit which I will cover in my final post on Open House 2017 in the next couple of days. 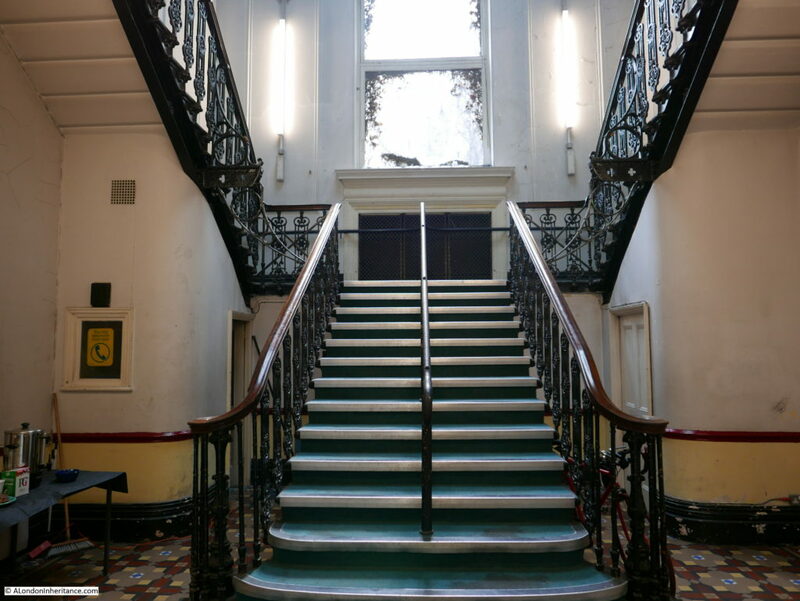 This entry was posted in London Buildings and tagged Limehouse, Limehouse Town Hall, Open House, St., St. Anne's Limehouse on September 24, 2017 by admin. 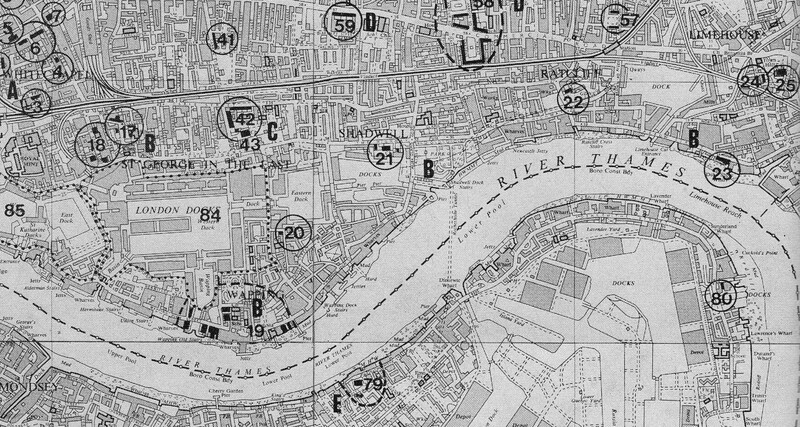 A couple of weeks ago I started exploring East London using the map published in the Architects’ Journal from the 19th January 1972. 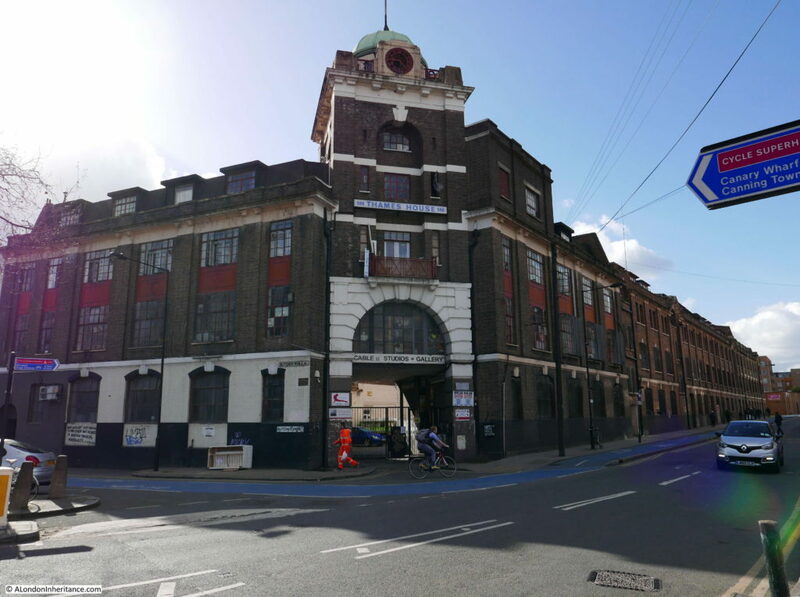 The map was part of a feature article titled “New Deal for East London” and covered the considerable changes expected to take place across East London and the fate of a number of sites that the Architects’ Journal considered essential for preservation. 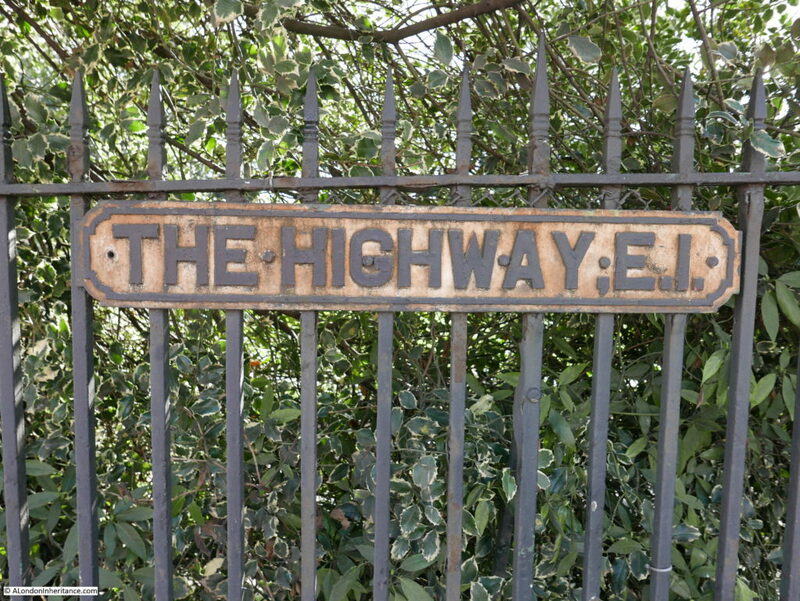 Sites across the map were categorised by how they were part of East London’s development. 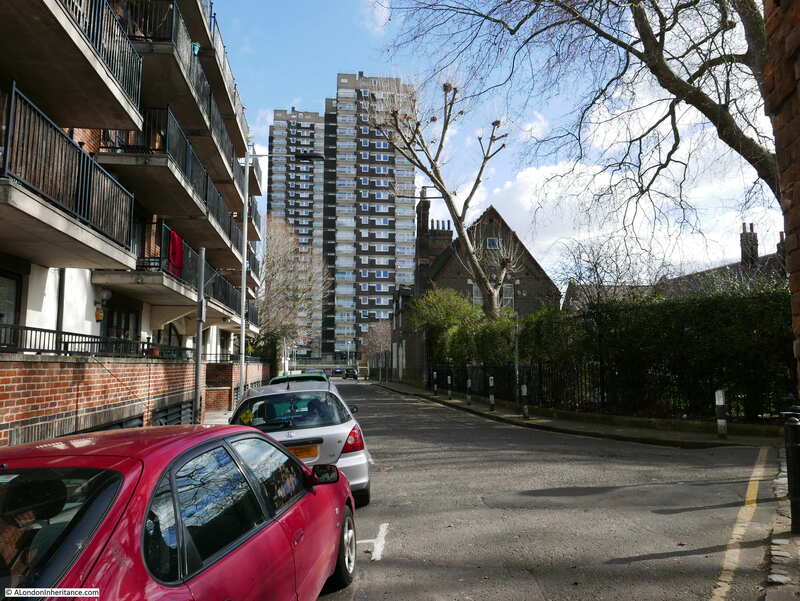 In the past two posts I covered Category A – Areas that were developed as overflow from the City of London. 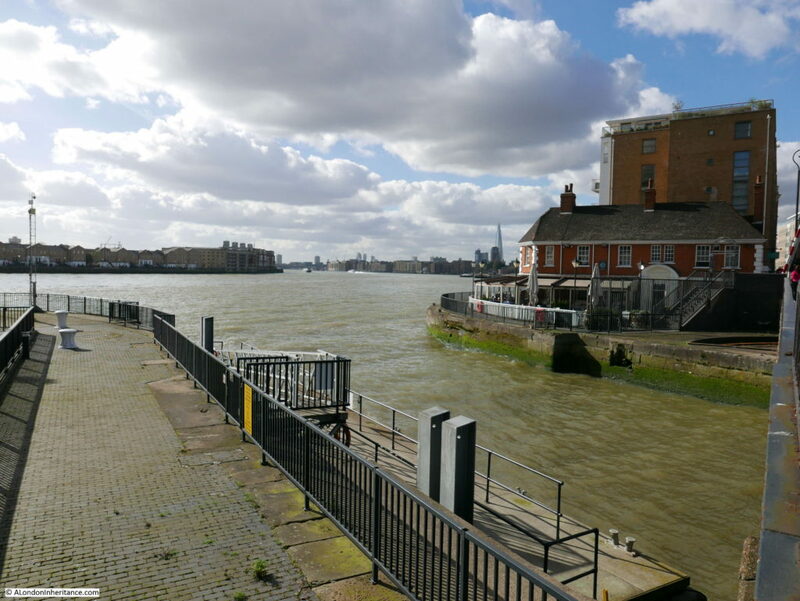 In today’s post I start on Category B – Linear development along the Rivers Thames and Lea due to riverside trades. The following map shows the same area today with the same locations marked. There is so much to be written about this area, however my posts are often getting rather long, so today I will concentrate on finding the sites, and write more about the history of this fascinating area in some future posts. I started off walking along Royal Mint Street, then Cable Street before turning off down Ensign Street where the entrance to Graces Alley can be found. 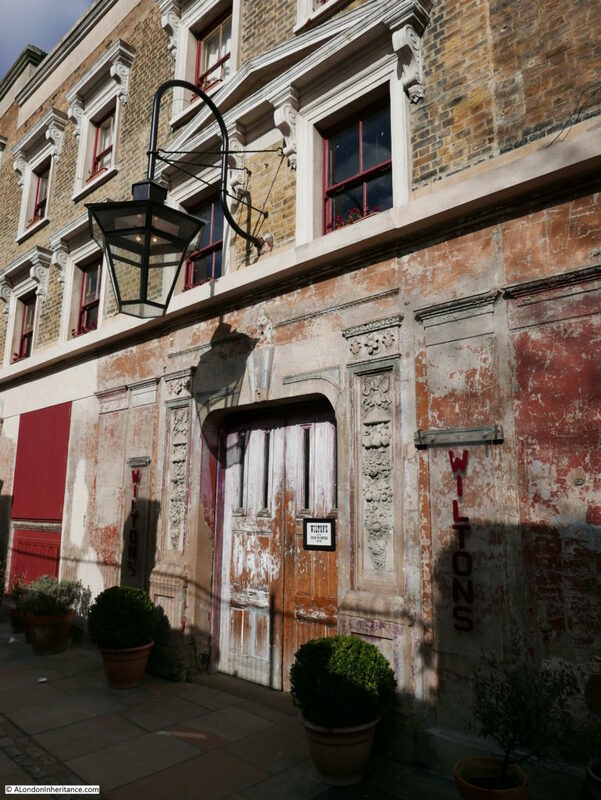 It is here that Wilton’s Music Hall can be found. 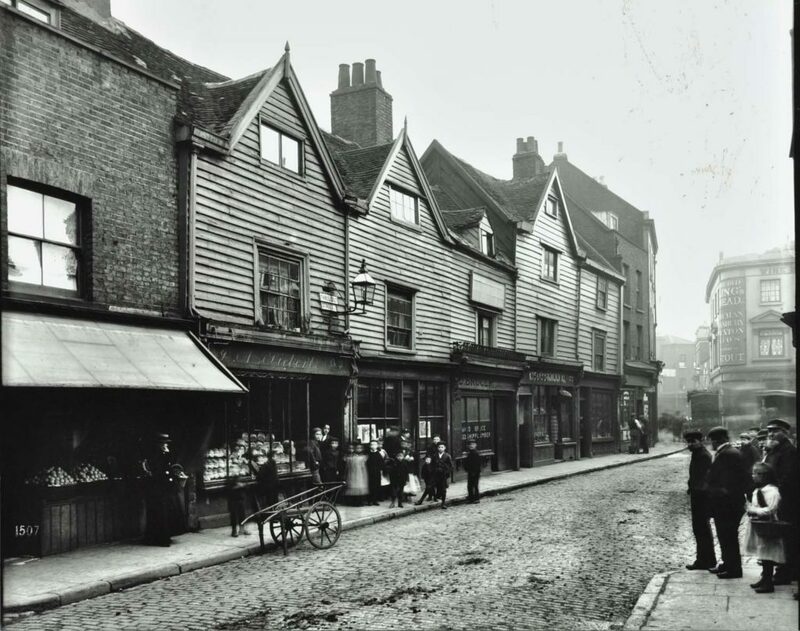 The buildings that now house Wilton’s have a long history. 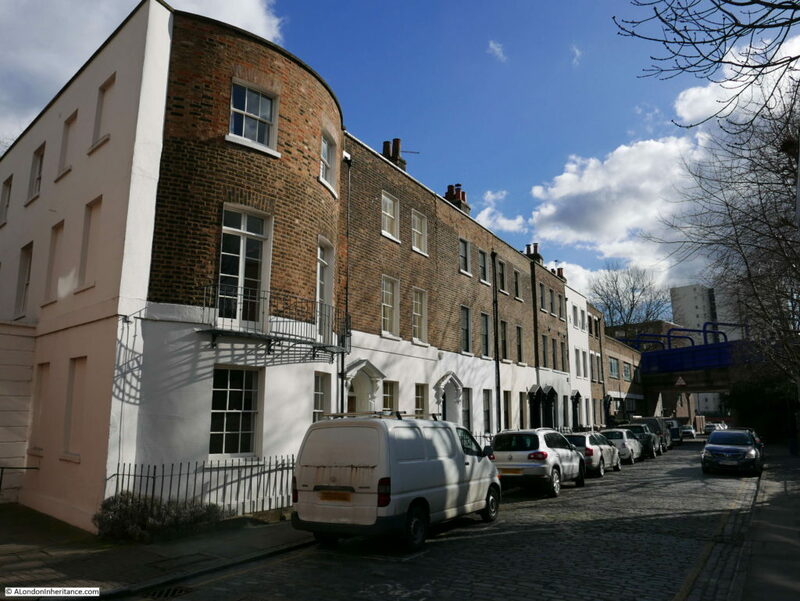 Originally individual houses from the late 17th Century they have since been through many alterations and changes, a 19th century Music Hall, a Methodist Mission and a warehouse for rag sorting. 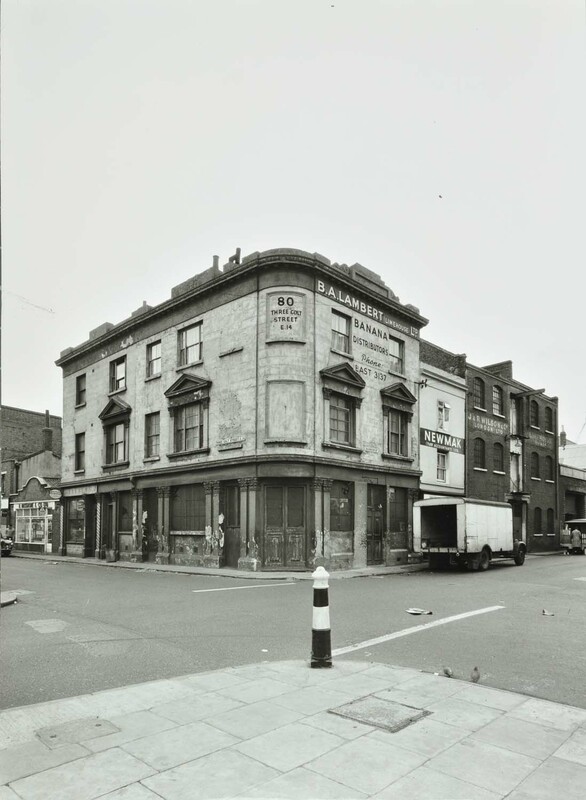 During the 1960s the London County Council planned to demolish the whole area including the nearby Swedenborg and Wellclose Squares along with the buildings that housed Wilton’s Music Hall. 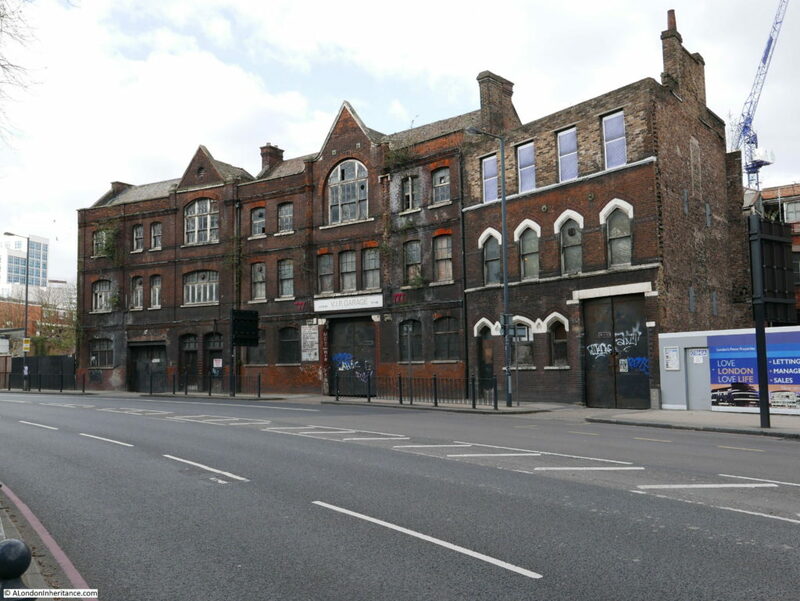 Whilst the other areas under threat of demolition did not survive, the buildings along the northern edge of Grace’s Alley, including Wilton’s Music Hall were spared, but fell into dereliction. Campaigns during the last few decades raised the funding to restore Wilton’s and it is the restored building that we find today. 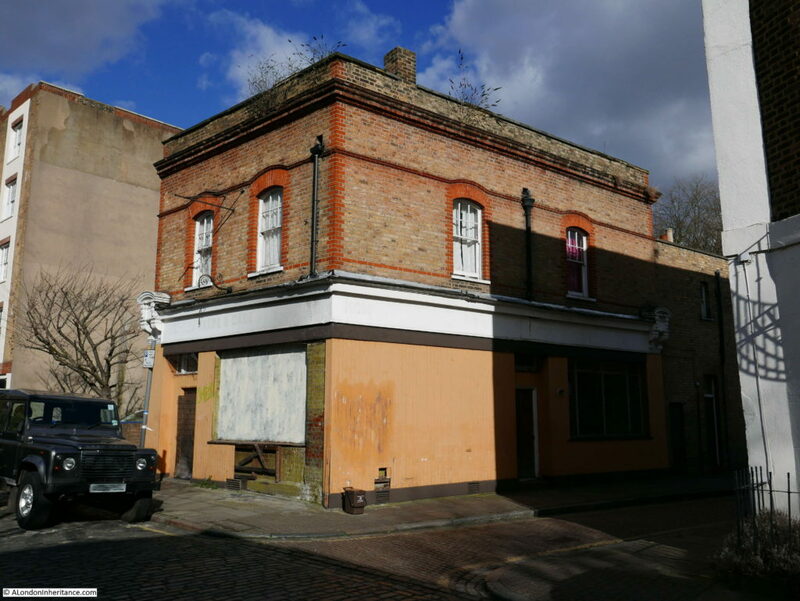 There is a full history of the building and the restoration on the Wilton’s web site which can be found here. The last sentence in the above paragraph is a consistent message throughout the 1972 article. 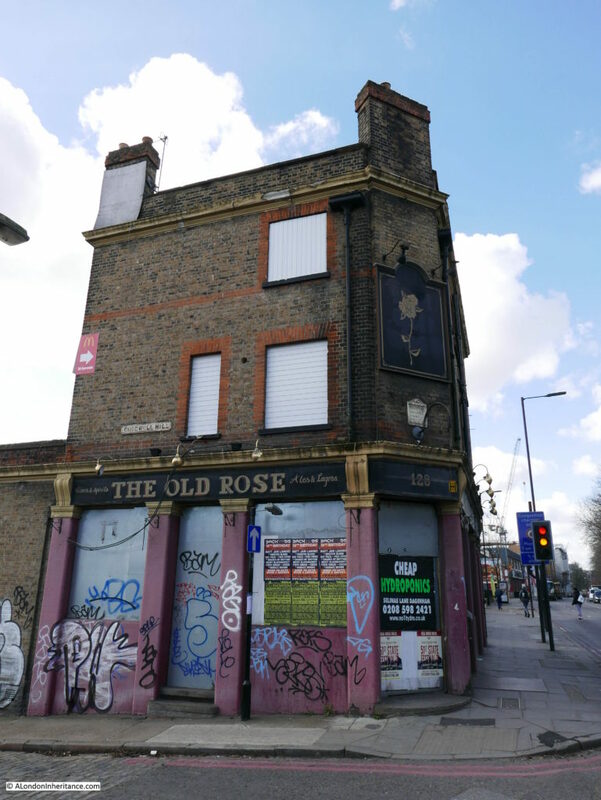 It is not just the buildings that are being lost, but also the loss of a community that had long considered East London as home. I was not sure what I would find in Wellclose Square. The Architects’ Journal listing states “all that remains” which is not very specific. 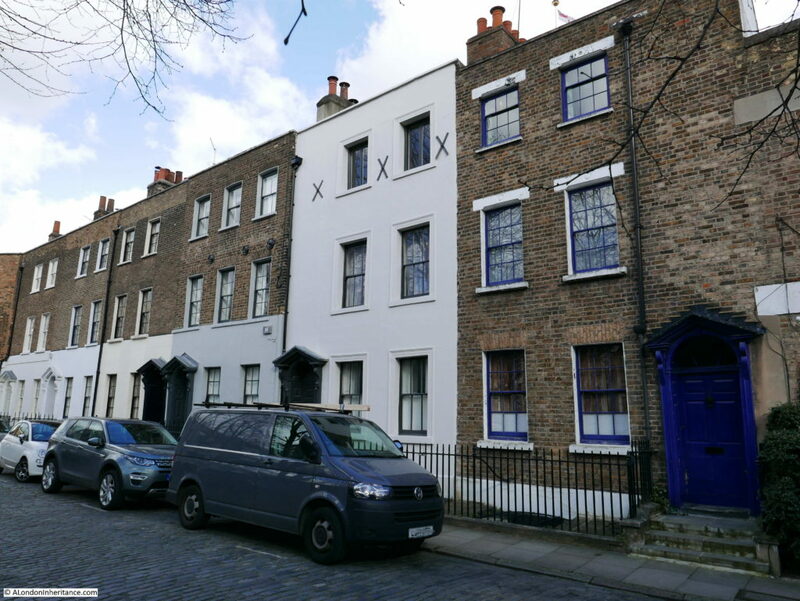 The article also includes the following photo of some of the houses in Wellclose Square but does not make clear whether there were still remaining in 1972. 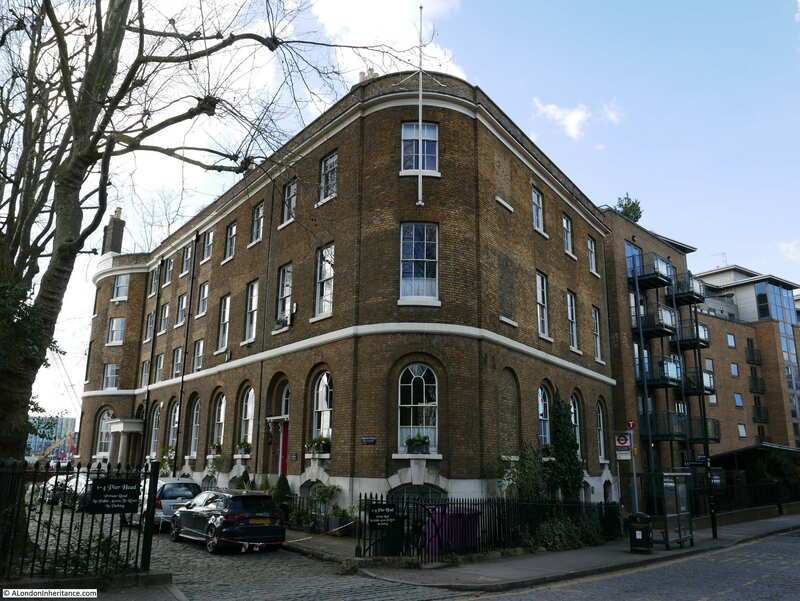 The buildings on the right of the above photo with the panels above the ground floor windows were originally the Danish Embassy. 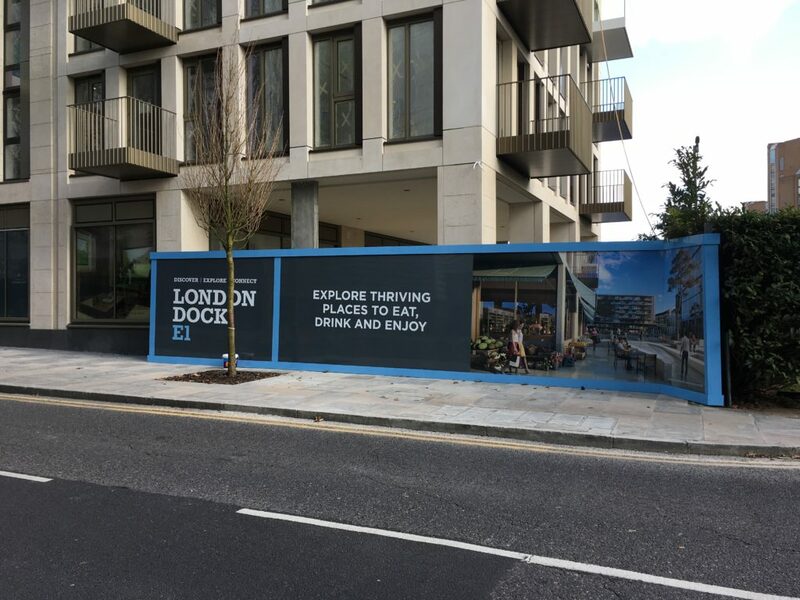 A quick walk around Wellclose Square confirmed that all the buildings of the original square have been demolished, with new building from the later decades of the 20th century now running along the sides of what remains of the square. 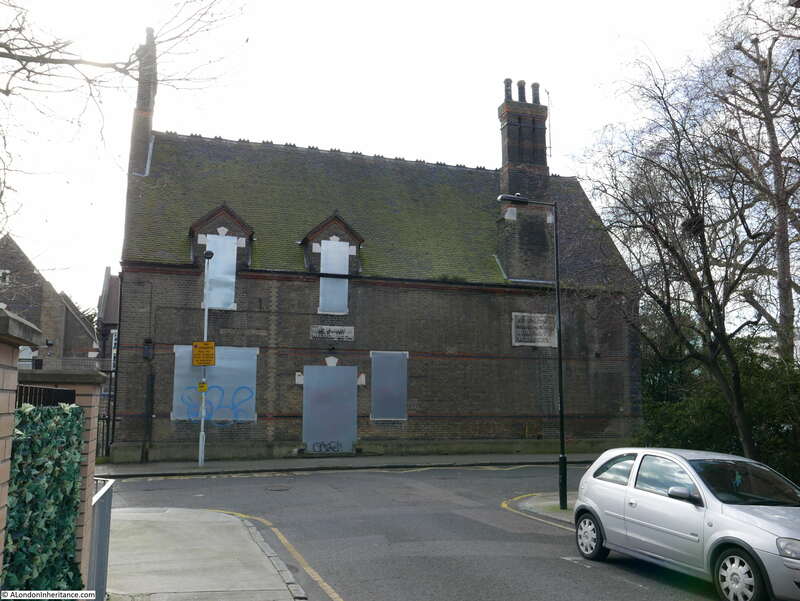 It appears to be within the grounds of the school that occupies the central part of the square so I hope that the windows and door facing the road are covered in this way to prevent access from the road rather than that the building has been abandoned. 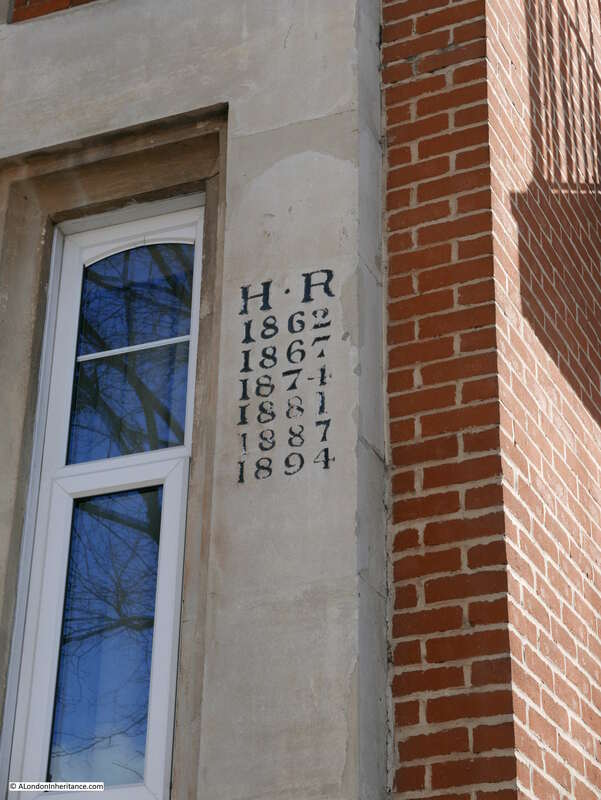 The plaques on the wall provide some background to the building. The plaque on the left reads “St. Paul’s Mission Room” and that on the right “St. Paul’s Church for Seamen Infant Nursery”. The building was constructed in 1874 and is currently Grade II listed. 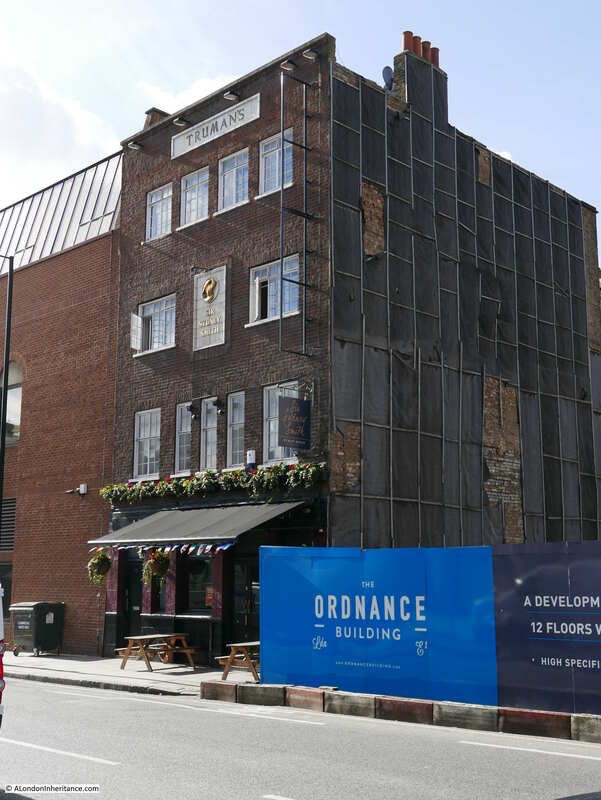 As this was a mid-Victorian building I suspect it was not what the Architects’ Journal was referring to and that all the buildings were demolished. 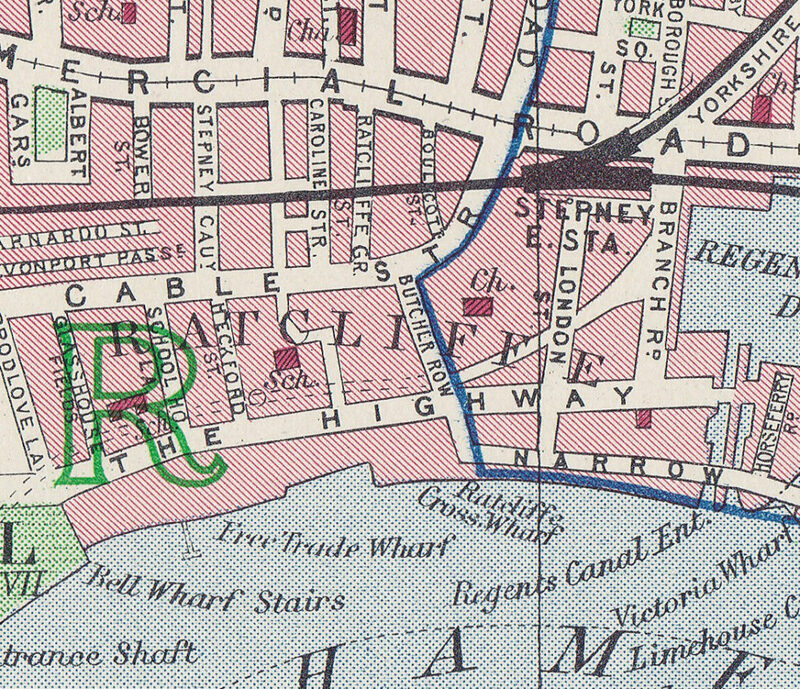 The Architects’ Journal map shows three locations in Dock Street. One a short distance down on the left, one further on the right then one at the junction with The Highway, and it here that I will start. The following photo shows the house in the location marked on the map, so what appears to be a fine survivor, although I am not sure whether the full house survives. If you look at the new building to the left, it appears to carry on into the original building and checking an aerial view it looks that the new building on the left extends across the rear of the older building and that whilst the front and part side facade looks to have survived this may well be a case of the body of a building being gutted and rebuilt as part of a new, larger construction. Although nothing could prepare me for what I would find next. 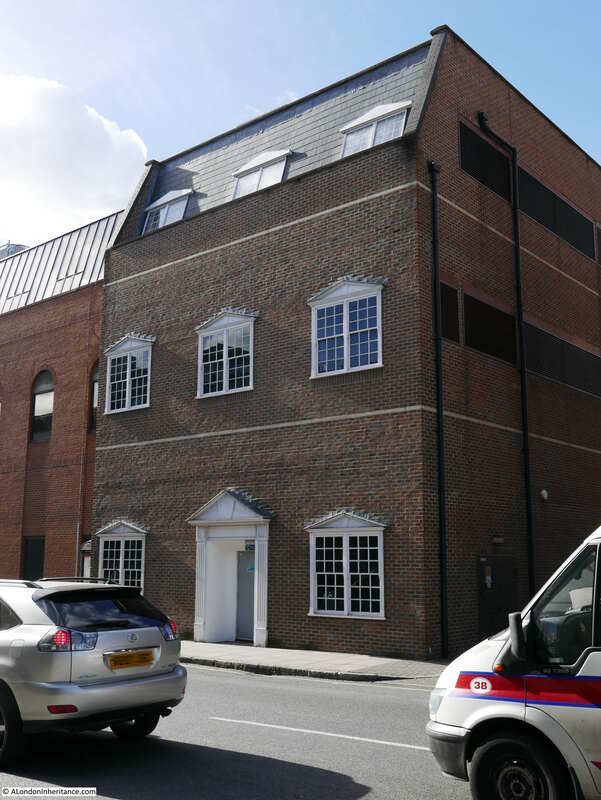 This is the building on the site marked on the left of Dock Street. 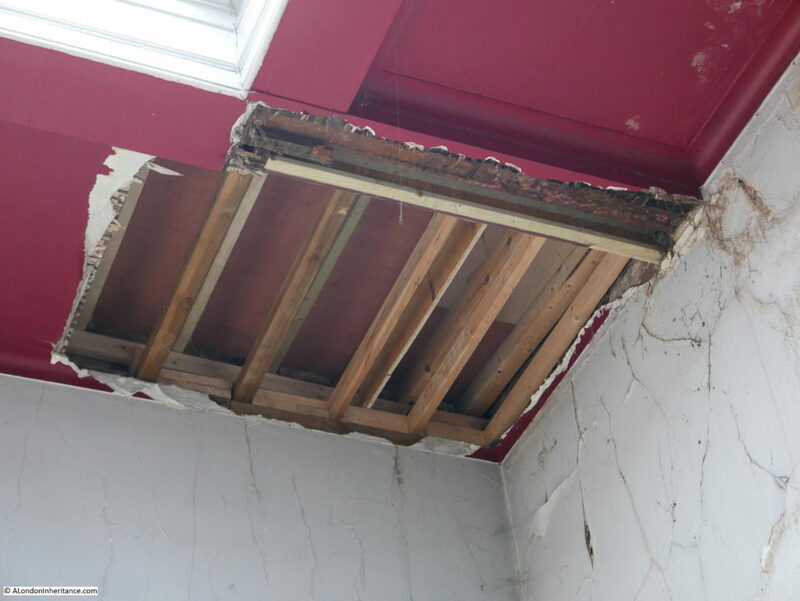 This has to be the worst reconstruction of a pretend 18th Century house that I have ever seen. 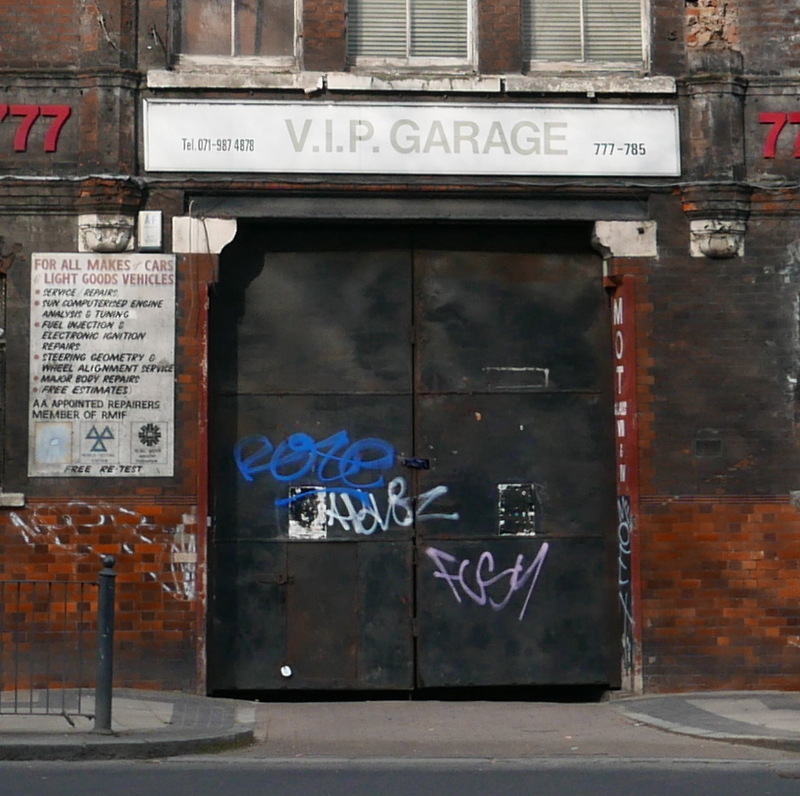 The building also has a distinctly industrial feel with the metal door, air vents and pipework down the side. Openstreetmap has this building labeled as a mobile phone company so I suspect it houses equipment for their network, but why build the front facade to possibly resemble the 18th Century house that once stood here in such a superficial manner? Walking back up Dock Street towards Cable Street there was some considerable building work underway. 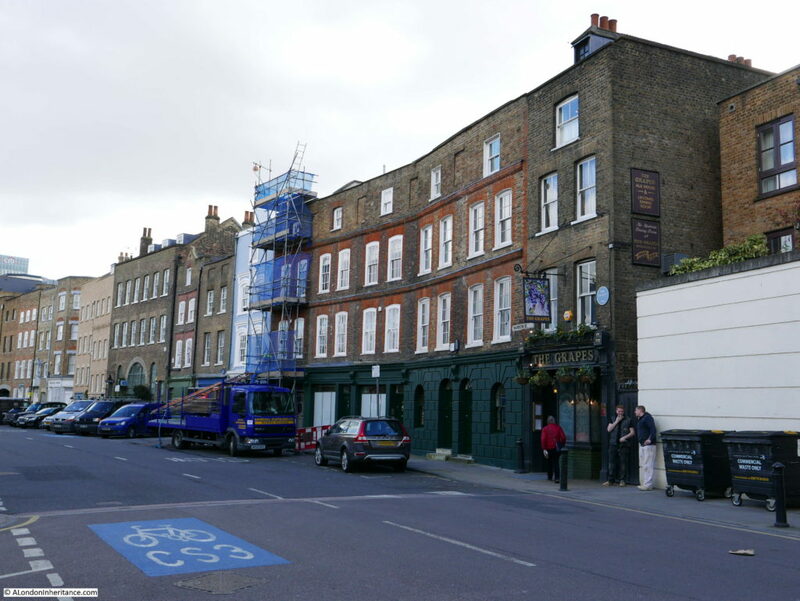 Here all the buildings to the right of the Sir Sydney Smith pub have been demolished. The full site is in the photo below. 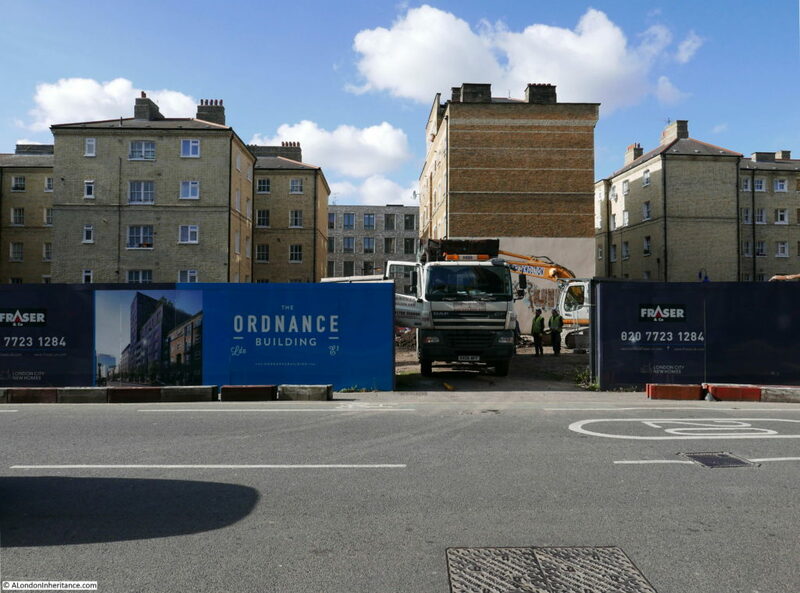 This building site will soon become the Ordnance Building where “no expense has been spared in curating a collection of residences that live up to the development’s prime location”. The Ordnance Building will also feature a “Quintessentially (online) concierge service” whatever that is. 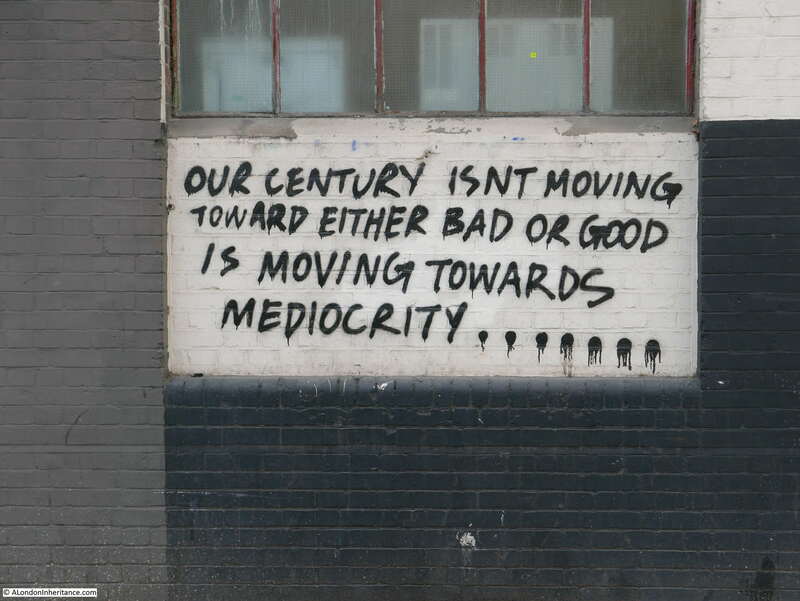 It seems that almost anything these days is “curated”. You can read more about the Ordnance Building here. The final location in Dock Street appears to have survived intact. A fine three floor house. Note the way that the size of the windows reduce from ground to top floor. 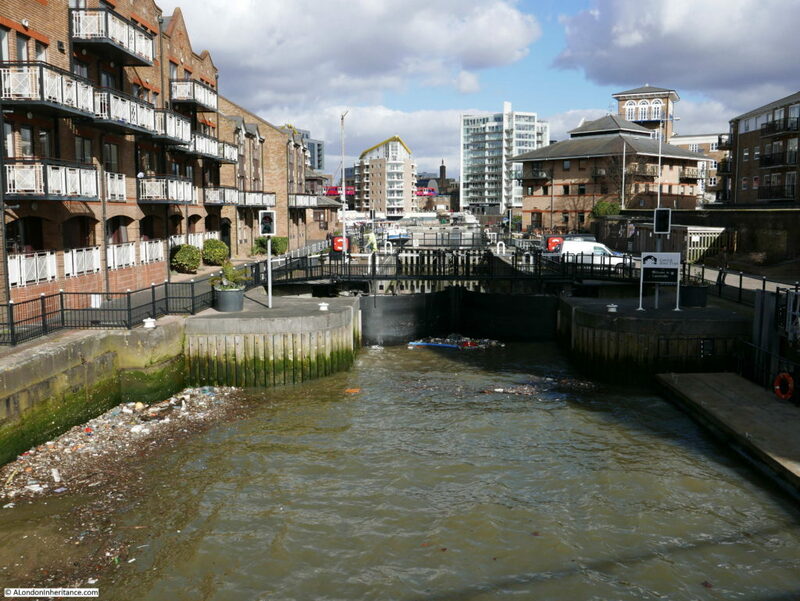 Site 19 covered a number of buildings around and to the east of the Wapping basin entrance to the London Docks. The docks are long since closed, however the buildings remain, some much restored and rebuilt, however the area does retain the character of when the docks were in operation. 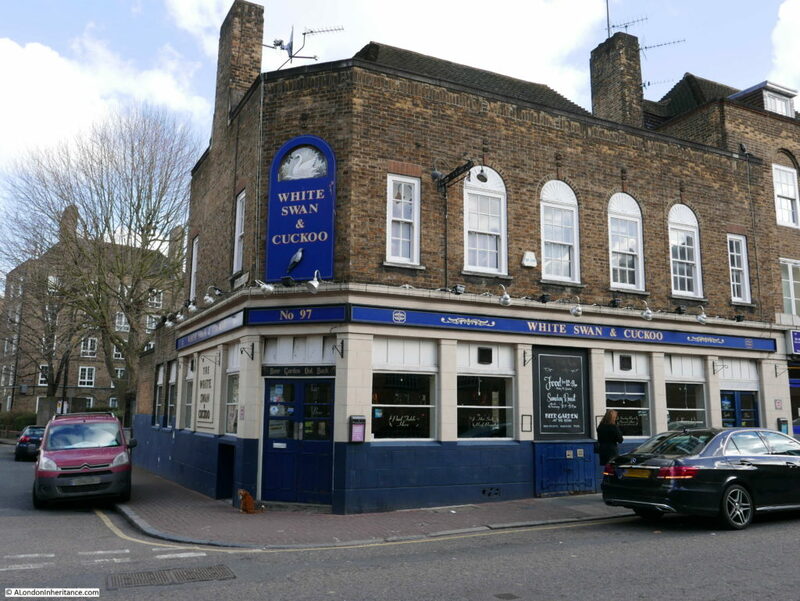 I have already written about this area in my post on The Gun Tavern, so as this is a rather lengthy post I will not repeat here. A quick check for recently sold prices, found that in 2012 a terrace house at Pier Head sold for £2,550,000 and in 2011 a flat sold for £1,300,000. That is quite some investment in 40 years. Looking across to the old St. John’s Church and the Charity School next door. 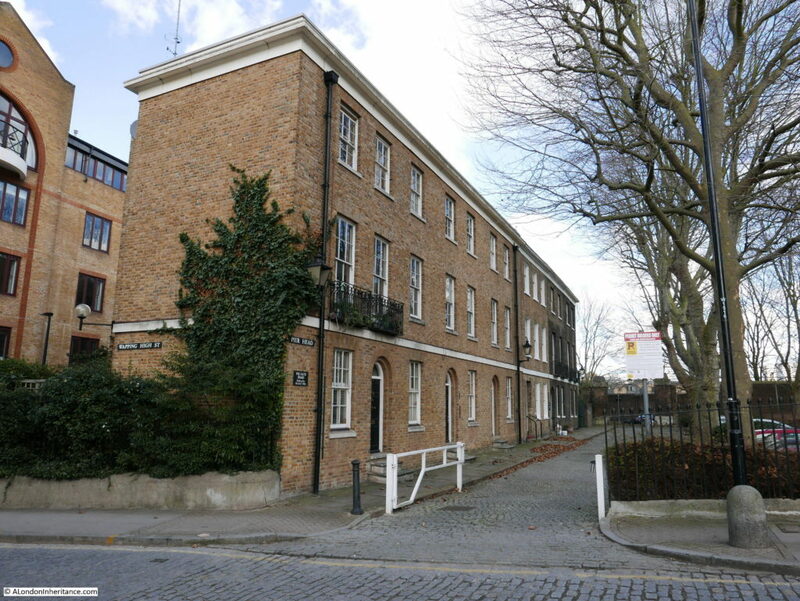 Apart from the nearby church of St. Peter’s London Docks, the old school building, or Raine House as it is now named is the only survivor among an area of redeveloped 20th century housing. 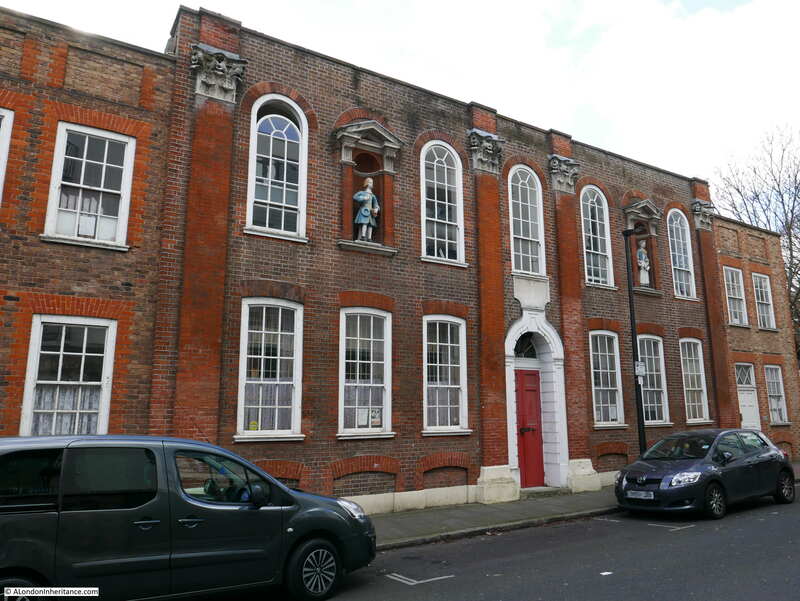 The building was originally a charity school founded by Henry Raine, owner of a Wapping brewery with the traditional blue coated school children standing in alcoves on the front of the building, very similar to the charity school in the Wapping Conservation Area. The plaque above the door confirms the date of 1719 and states “Come In & Learn Your Duty To God & Man”. The last sentence sums up the concern that is a theme throughout the article. There were a whole range of important 18th century buildings across East London being left to decay, helped in that decay by vandalism. If the authorities did not apparently see the importance in these buildings no wonder the local children could see no reason why they could not use these decaying buildings for stone throwing and other general damage. 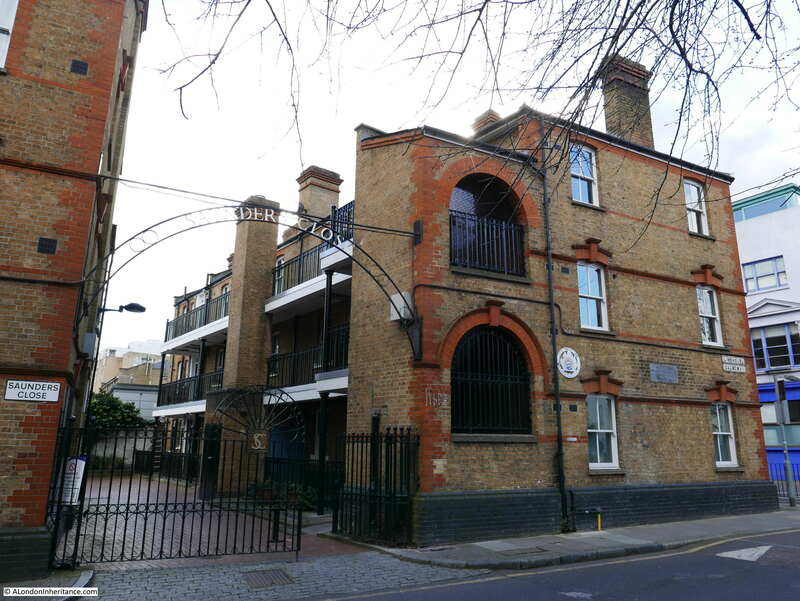 Fortunately the school buildings have survived and now rather suitably are home to the Pollyanna Training Theatre and Studios, rather than expensive flats. The Highway is a really busy road and it took a while to get a suitable break in the traffic to take the photo below showing the Rectory on the right and the church on the left. The current church is the third that has occupied the site. The original church was built in 1656 as a Chapel of Ease. 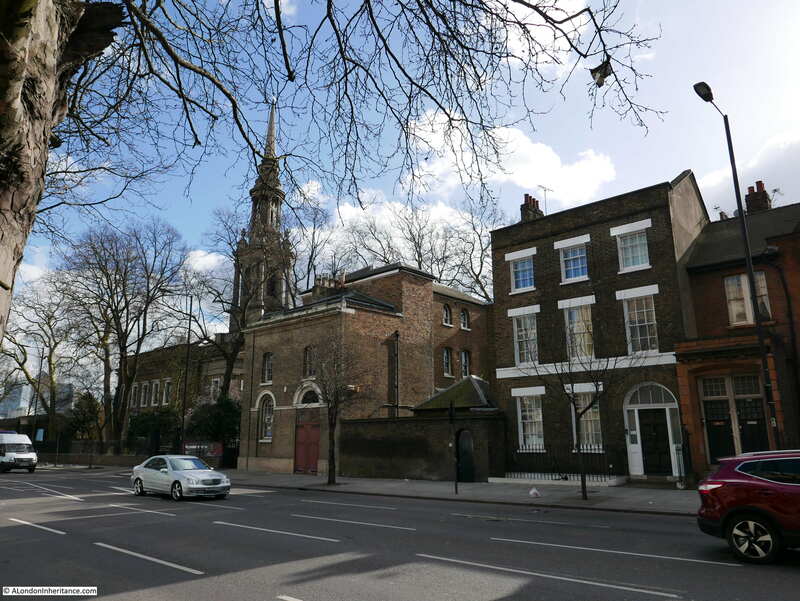 This was rebuilt in 1669 as the Parish Church of Shadwell. 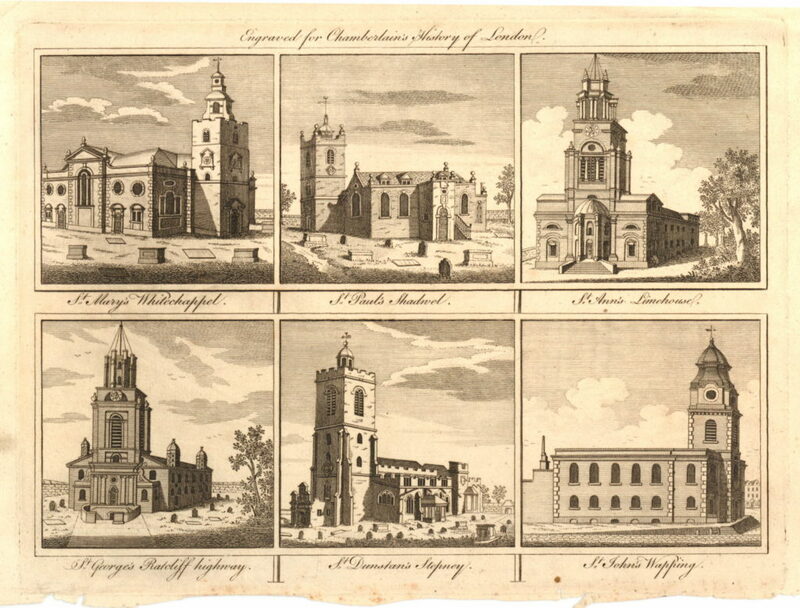 The 1669 church (the middle picture in the top row in the print below) was demolished to make way for the current church which was built in 1820. St. Paul’s Shadwell has been traditionally associated with Sea Captains and Captain James Cook was an active parishioner at the church. 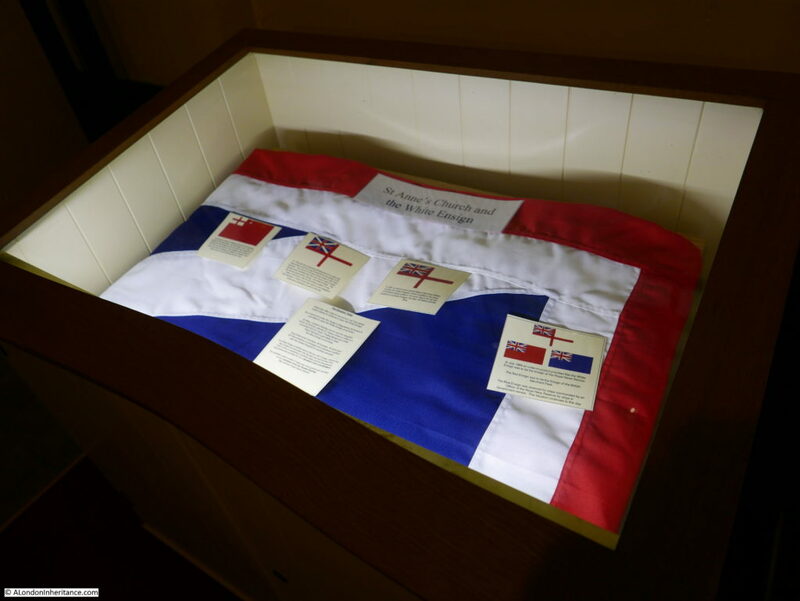 An information panel at the entrance to the church also records that John Wesley preached at the church and there were a number of notable baptisms including Jane Randolph, the mother of the US President Thomas Jefferson, and James Cook, the eldest son of Captain Cook. If you look back at the maps at the start of this post, the church is just north of the Shadwell Basin and when this easterly part of the London Docks was constructed, part of the church yard of St. Paul’s was lost to make way for the new docks. Butcher Row is a really busy road. It links Commercial Road, Cable Street and The Highway and is at the point where The Highway disappears below ground as the Limehouse Link. The late 18th century Rectory was easy to find, but I had to wait sometime before I could get a photo not obstructed by traffic. This is a lovely building, built between 1795 and 1796, not originally as a Rectory, but for Matthew Whiting, a sugar refiner and director of the Phoenix Assurance Company. There was originally a church behind the Rectory building. St. James, Ratcliffe was the first church built by the Bishop Blomfield Metropolitan Churches Fund and consecrated in 1833. It was badly damaged during the war and demolished in the 1950s. 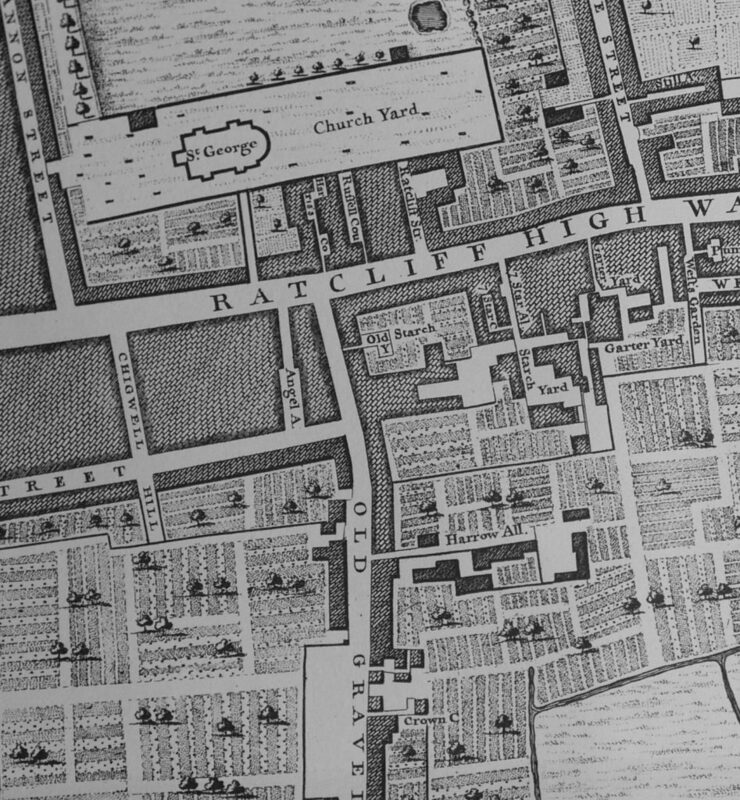 The following extract from the 1940 Bartholomew Atlas of Greater London shows the pre-war area with the church in the centre of the map with Butcher Row just to the left. The map also highlights the changes in the area. Today, Butcher Row is a much wider road and has taken over the part of Cable Street where it runs up to Commercial Road. 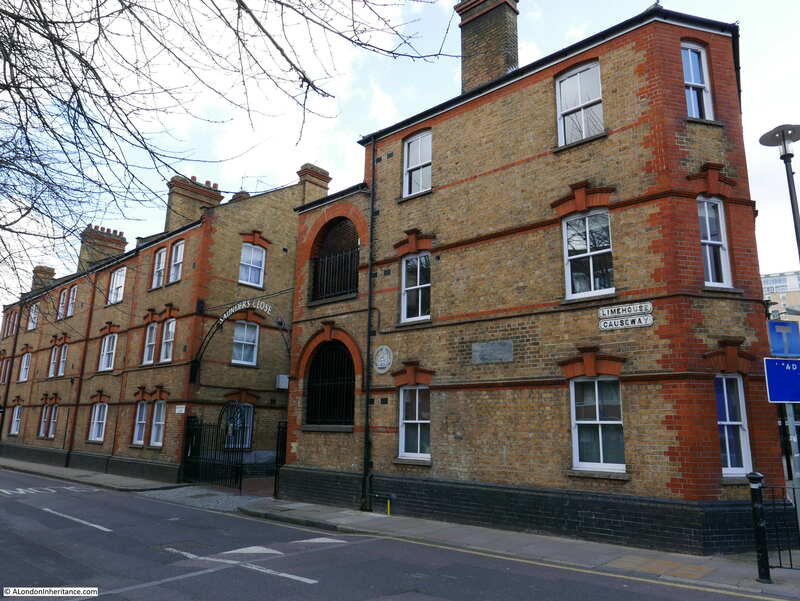 The Rectory and the area once occupied by the church is now the home of the Royal Foundation of St. Katherine. 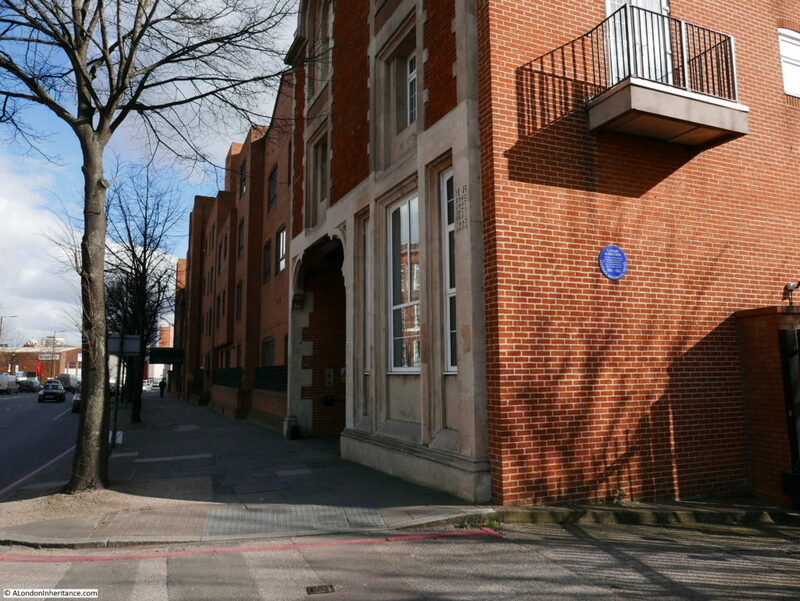 On the front of the rectory is a blue plaque to the Reverend St. John Groser, an East End Priest during the first half of the 20th Century who took part in the General Strike and was injured in the Battle of Cable Street. There is a fascinating history of St. John Groser to be found here. 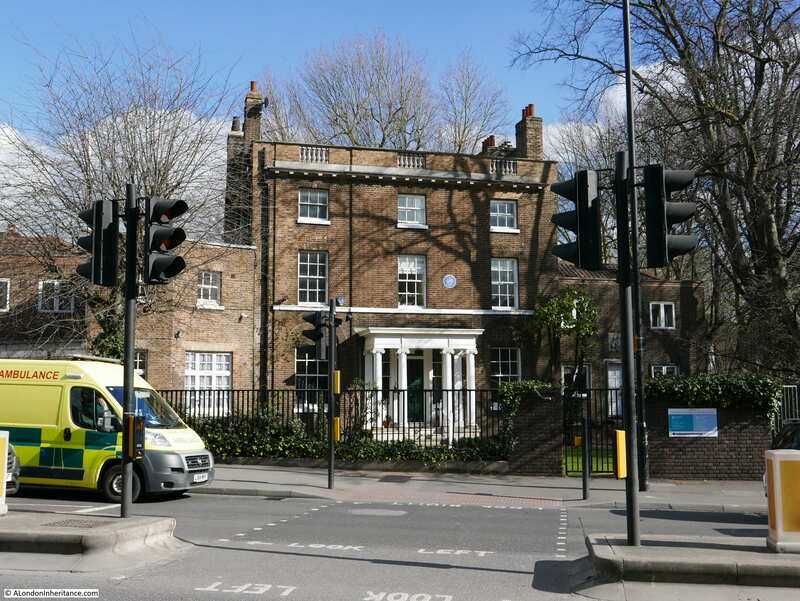 Hard to believe that this house is facing one of the busiest sets of roads in East London. 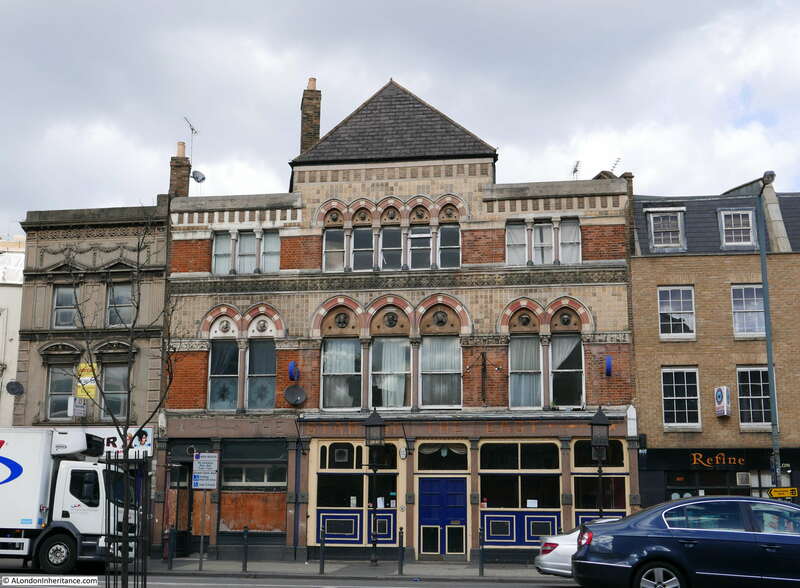 This group of buildings are still looking in fine condition and include The Grapes pub. 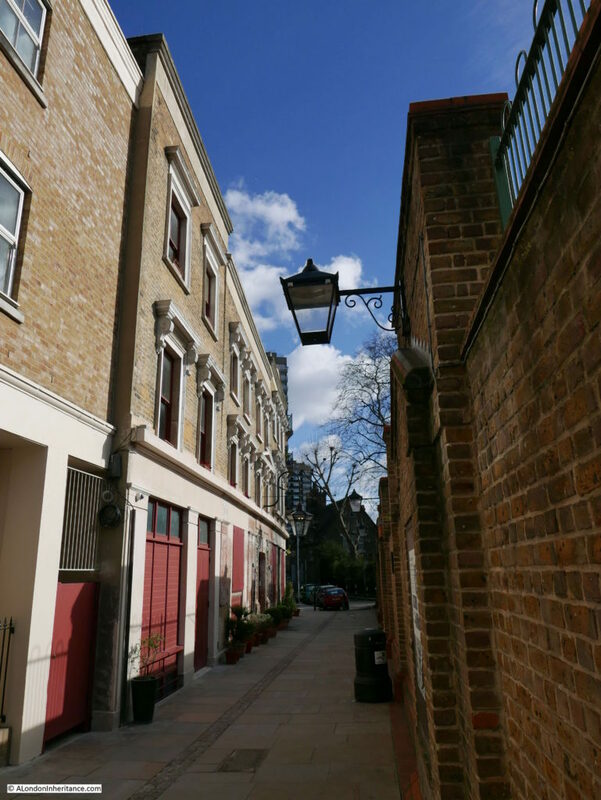 “In Narrow Street a few much restored early 18th century houses give foretaste of the social pattern that might soon develop along the whole riverside. the fronts are well painted, but generally anonymous, the backs, have picture frame windows and motor boats. Their original inhabitants have been moved into council flats behind. This terrace of houses is a surprise. It is reached from Narrow Lane by turning into Three Colt Street, then turning left into Newell Street. (Newell Street was originally Church Row, but changed name, I believe, in the late 1930s) Both these streets have housing blocks from the later half of the 20th century, however as soon as you pass under the bridge carrying the Docklands Light Railway over Newell Street you find yourself in a street lined with these 18th century houses. 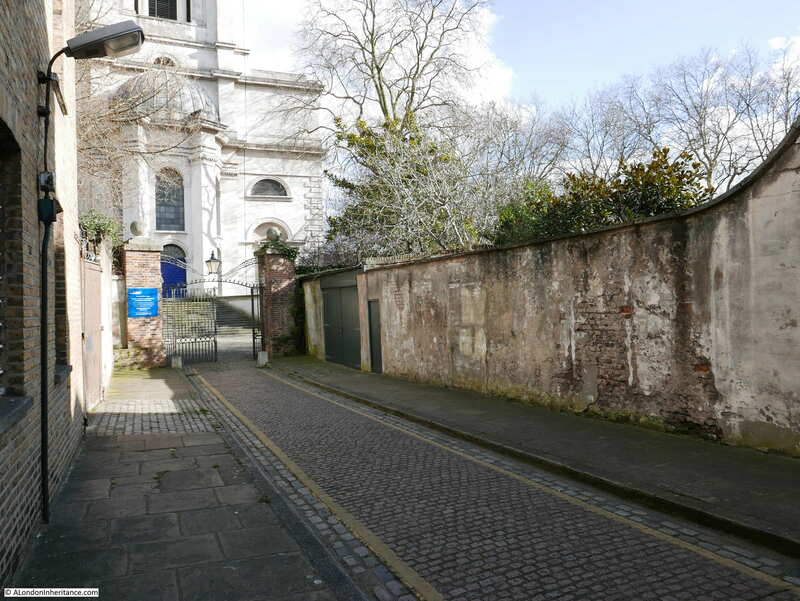 At the end of the terrace is St. Anne’s Passage which provides access to the church of St. Anne, Limehouse. The following photo is taken by the passage which is running to the left and shows the full length of the terrace. 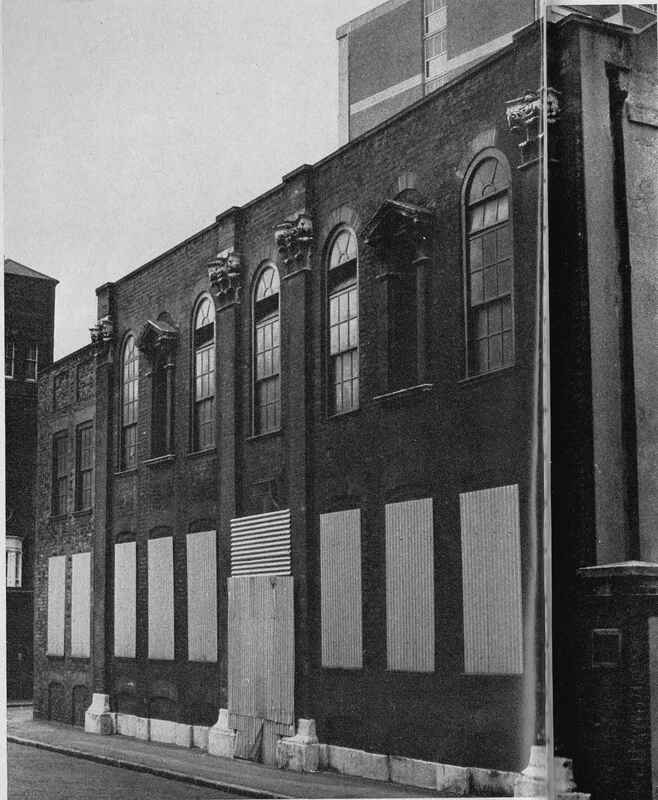 In the photo of the site in the Architects’ Journal, the building with the curved facade is only two storey so the top storey looks to be a later addition which the different type of brick confirms. The article in the Architects’ Journal included the following photo from the same position. Note how the house on the right was originally two storeys. 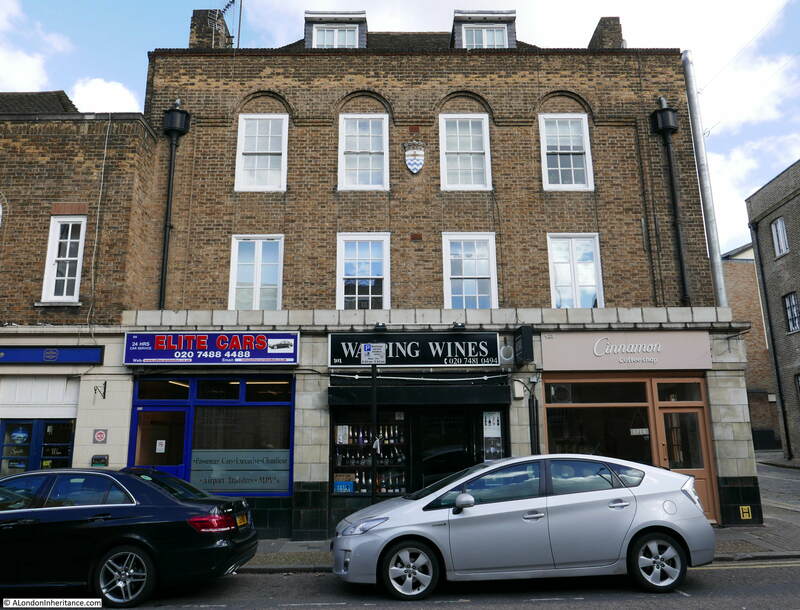 The building on the other corner was the office for a building company in 1972 however it was originally a pub which is still reasonably clear from the building today, which does not look as if it has changed much since 1972. The pub was the Coopers Arms and occupies a good location at the entrance to the passage to the church. I wonder how may participants of a Sunday morning service walked the short distance to the pub at the end of the service? 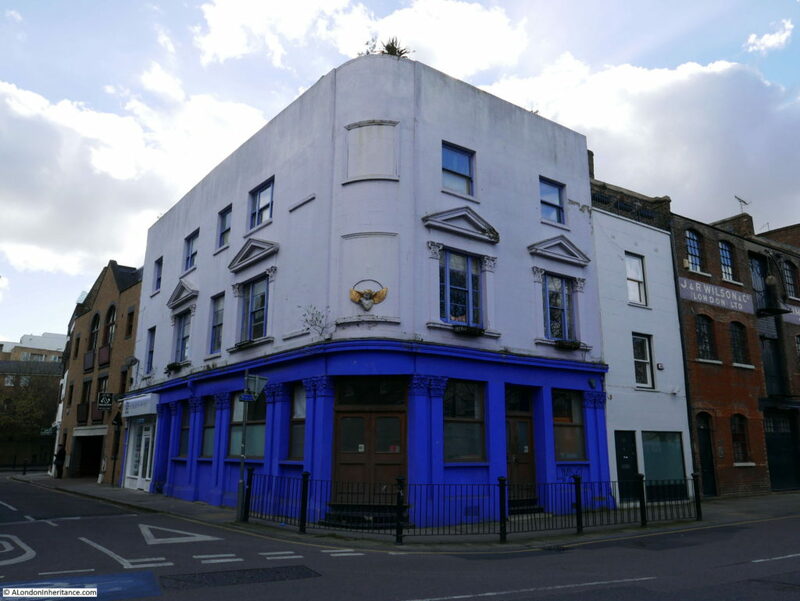 There are so many closed pubs across East London and looking at these buildings now it is easy to forget that they were once the hub for so much of the life of the community. Most East London pubs also had sports teams and ran sports events, and despite its relatively small size the Coopers Arms was no exception. 19th Century issues of the Sporting Life tell of the events held at the Coopers Arms. Bout 1: W. Brown beat T. Tabbits – The latter retired at the end of the first round. Bout 2: A. Smith beat W. Potts – There was little to choose between these men, Smith receiving the verdict. Bout 3: J. Bennett beat H. Cooper – This was a grand affair for two rounds when Cooper retired. Remove the yellow lines on the street, the street lamp and the blue sign on the gates and you could be walking to church in the 19th Century. 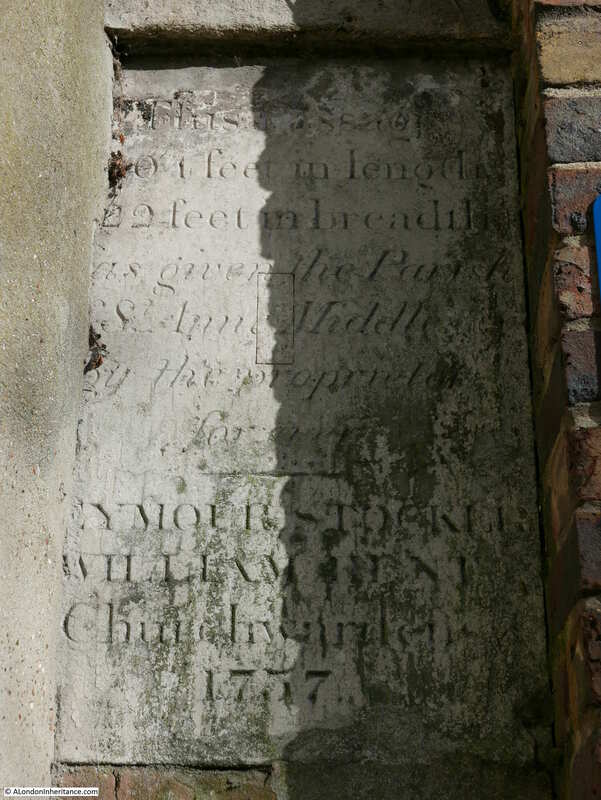 If I have read this correctly, the plaque from 1757 gives the dimensions of the passage and confirms that the passage is the property of St. Anne’s Church. 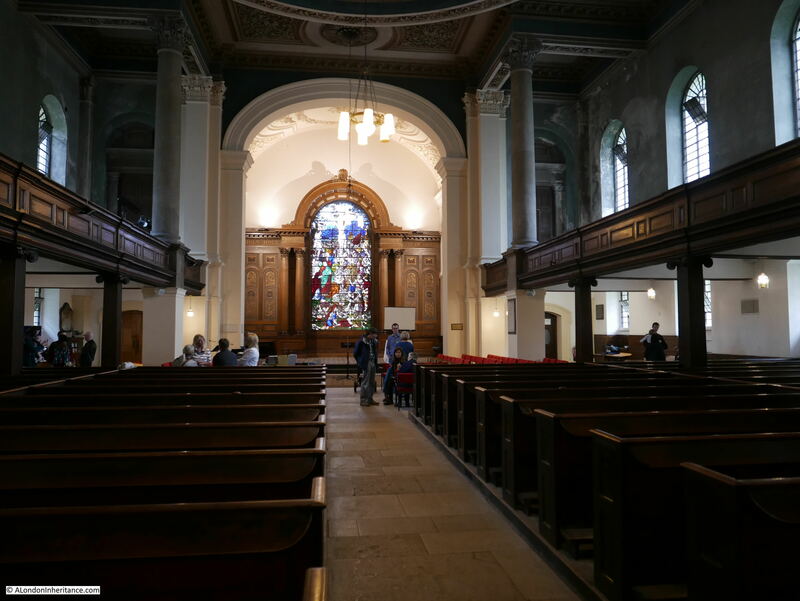 St. Anne’s Limehouse is a magnificent church. 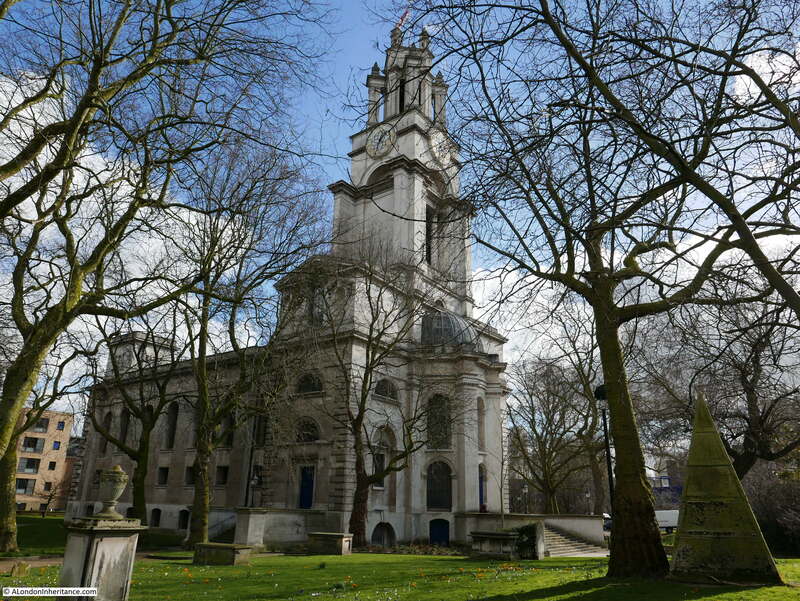 It was one of the 12 churches built following the 1711 Act of Parliament to build additional churches across London to cater for the expanding population of the city. Built between 1714-1727, the church was rebuilt after a serious fire in 1850 and there was further restoration work in the 1980s and 90s. 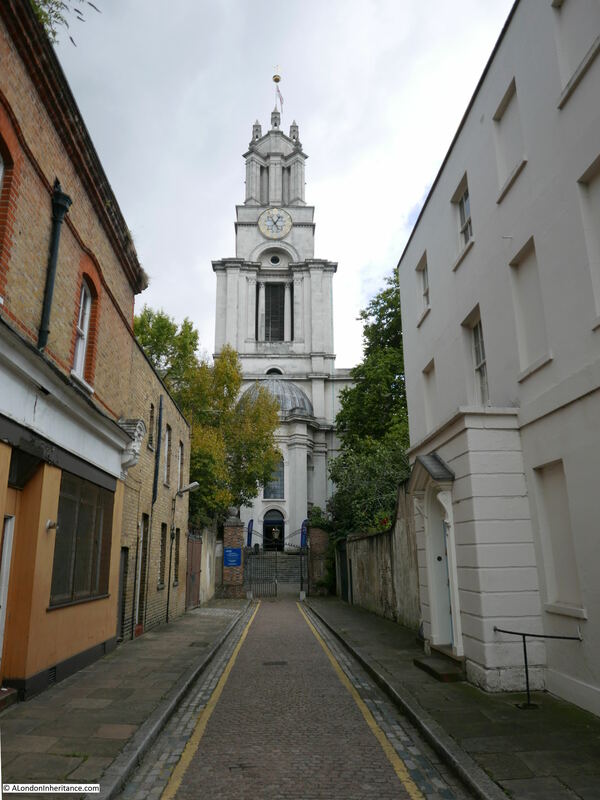 St. Anne’s, Limehouse was permitted by Queen Anne to fly the White Ensign of the Royal Naval Service, a tradition which continues to this day. The proximity of the church to the River Thames also meant that the church was a Trinity House navigation mark for those travelling on the river. 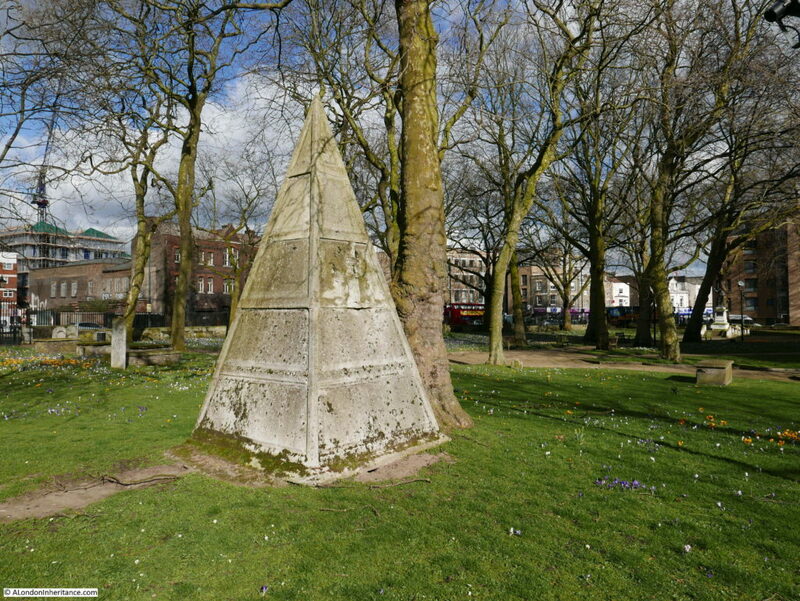 In the churchyard is a strange pyramid structure. It was originally planned that this would be installed on the roof of the church, however this did not happen so the pyramid continues to sit in the churchyard looking up at the church roof where it should have been located. This was a fascinating walk, rounded off by finishing in the churchyard of St. Anne’s on a sunny February afternoon with the church yard full of crocuses. On this third walk to visit the sites of concern in the 1972 Architects; Journal, I was pleased that the majority have survived well, the main exception being the rather strange modern mock Georgian fascia of the building in Dock Street. The next stage will be the route from Cubitt Town on the Isle of Dogs up along the River Lea to finish of the category B locations. That is a walk for another day. 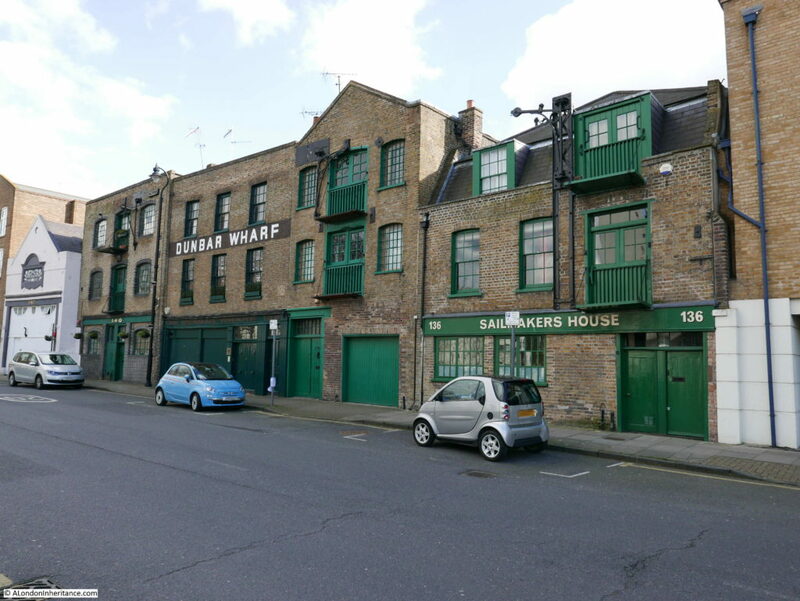 This entry was posted in London Buildings and tagged Limehouse, Wapping, Whitechapel on March 12, 2017 by admin.